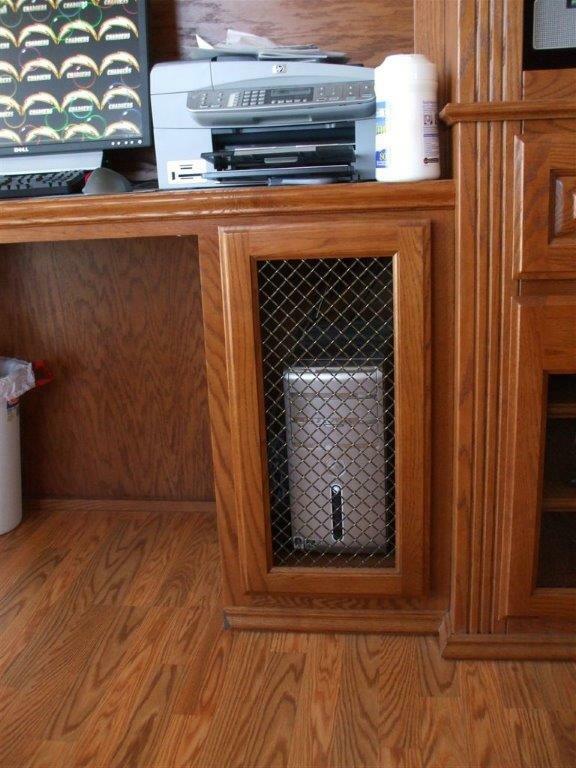 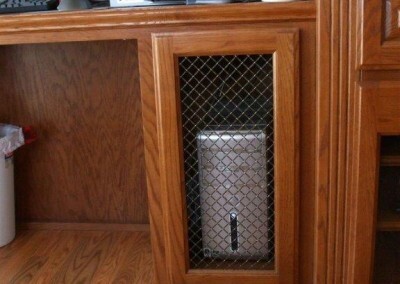 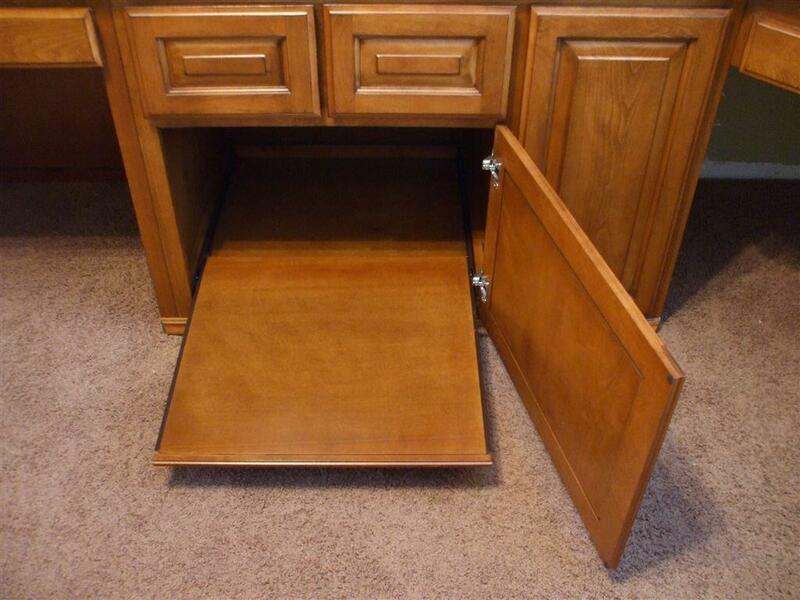 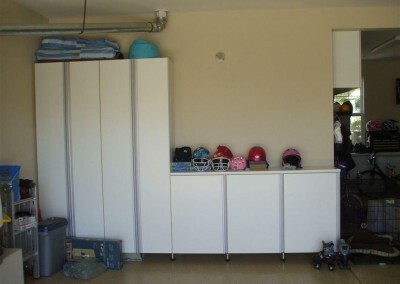 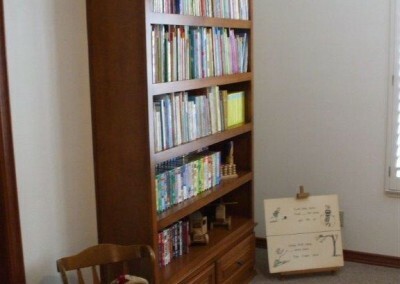 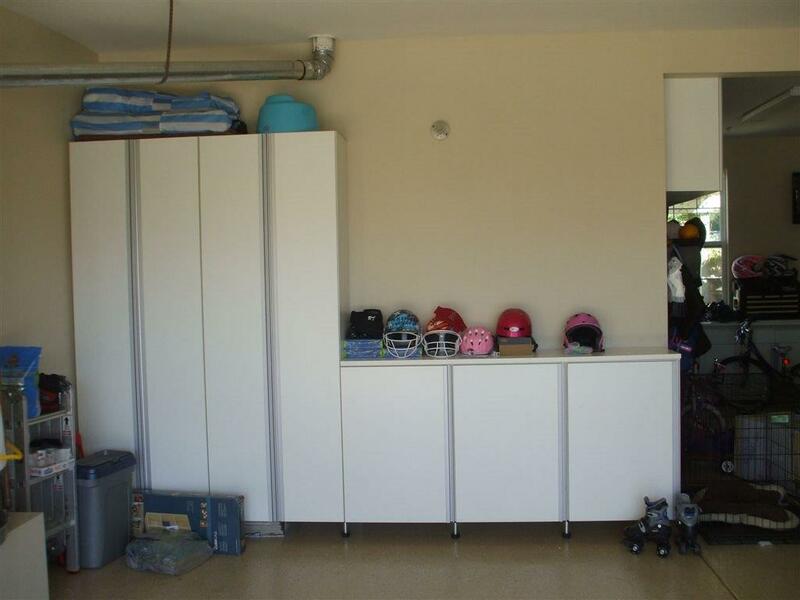 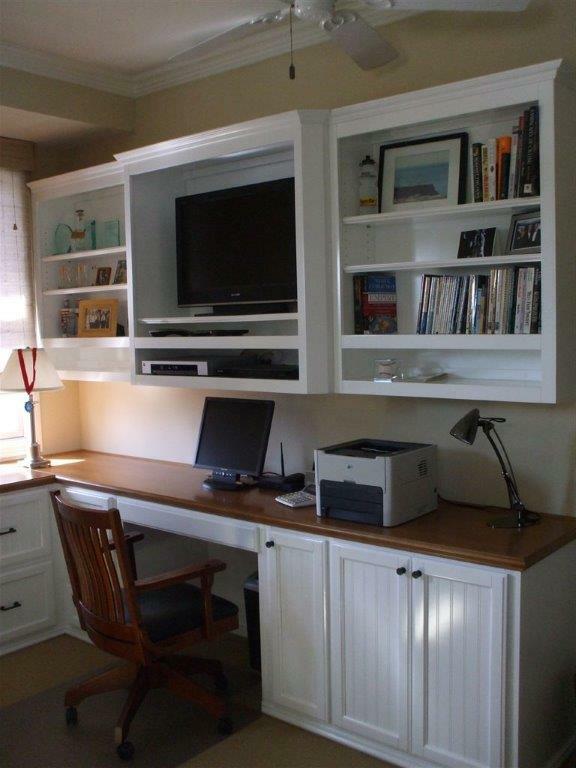 Some home office cabinets are as simple as a built-in kitchen desk; a small area to check the mail; pay a few bills or a spot where the kids can do their homework. 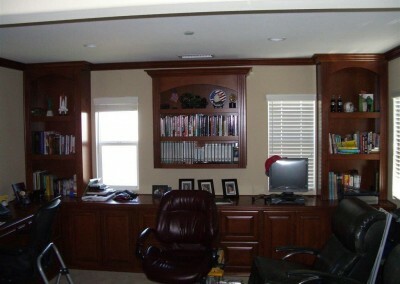 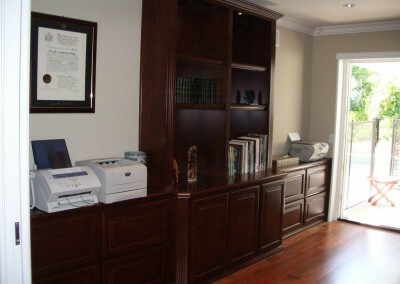 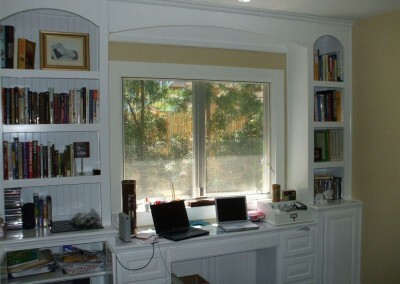 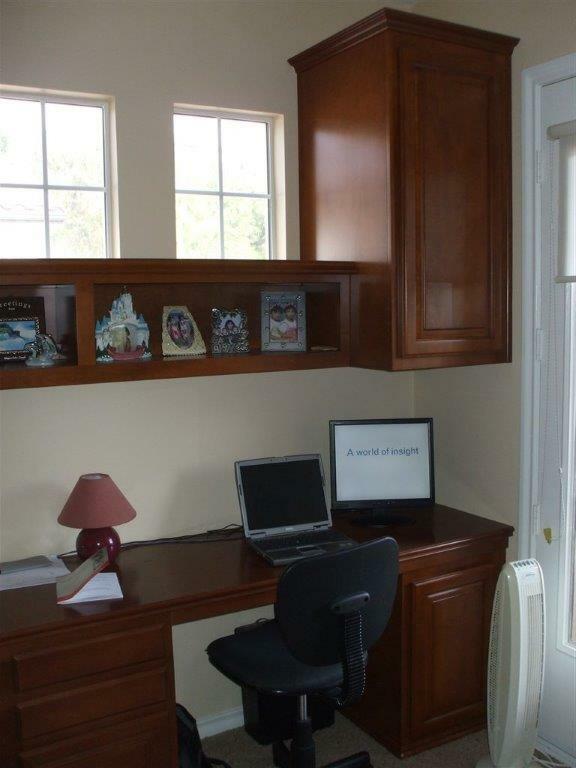 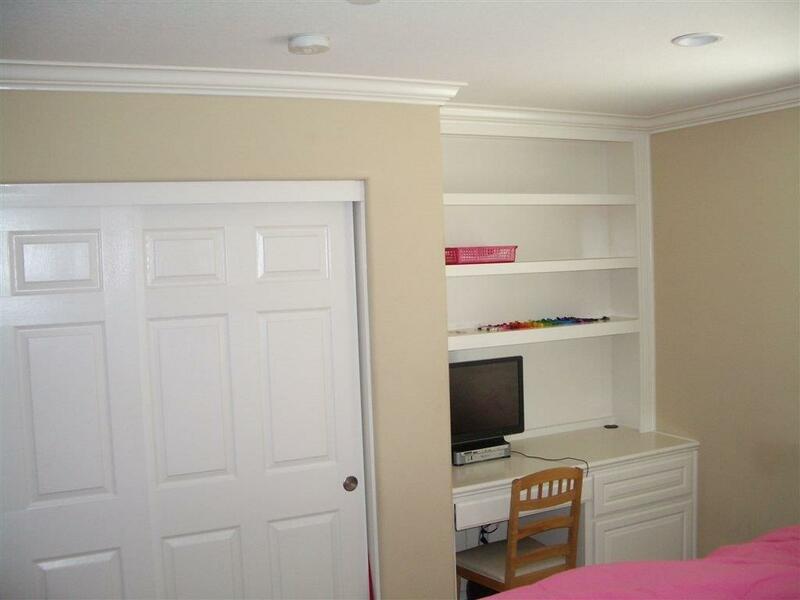 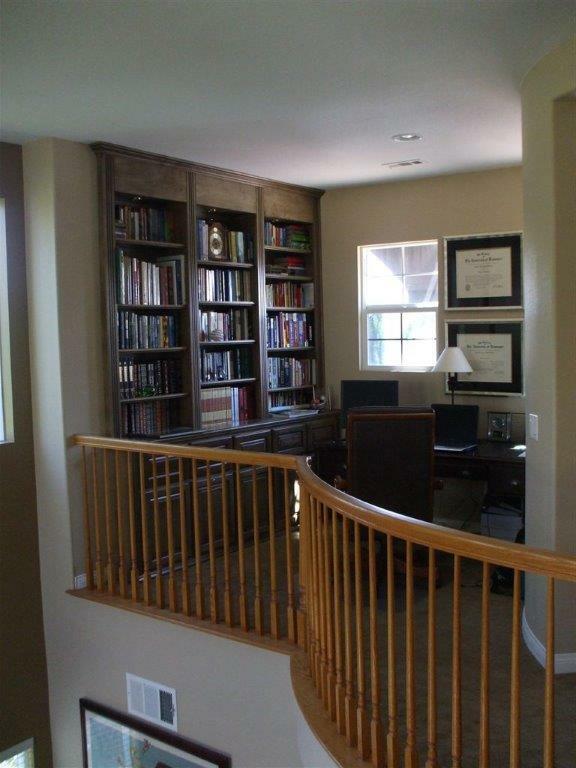 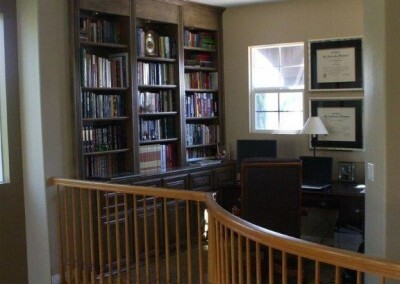 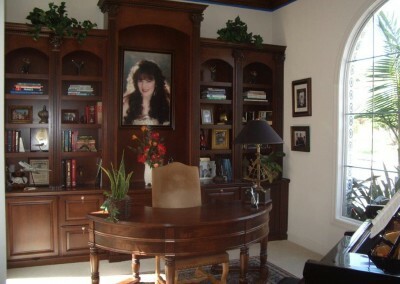 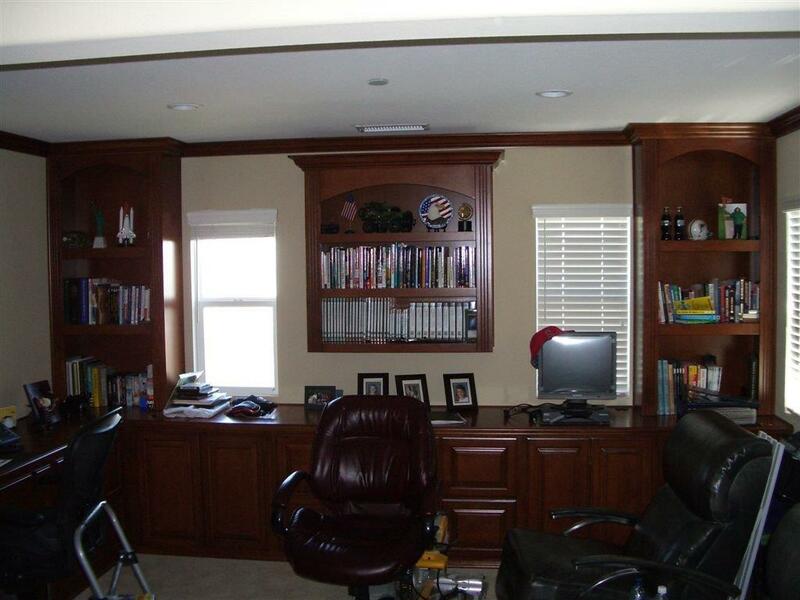 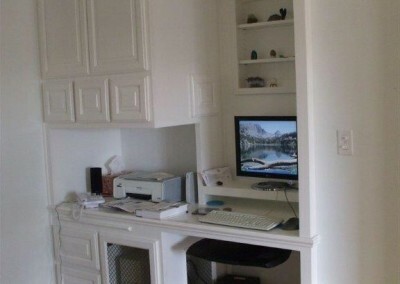 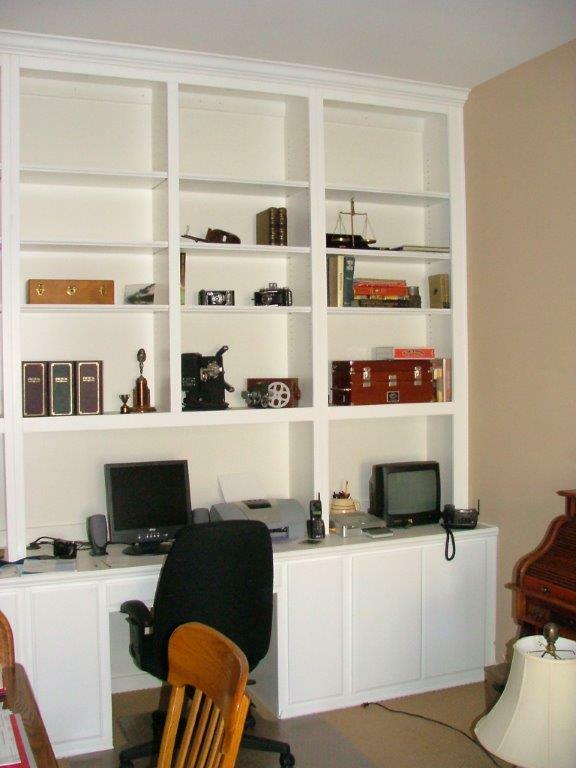 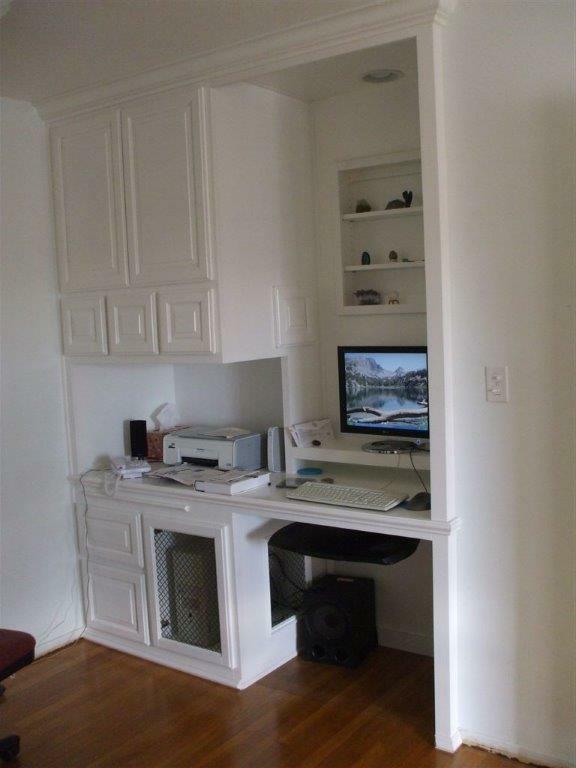 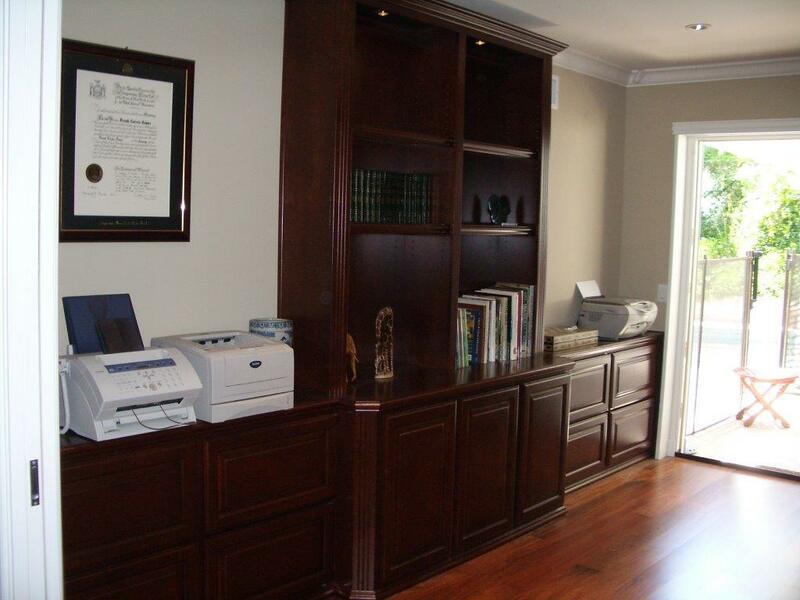 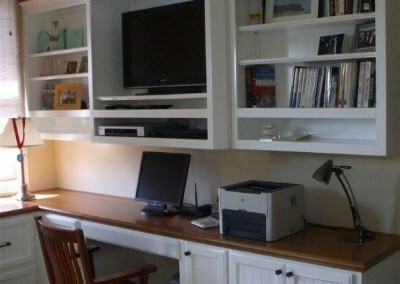 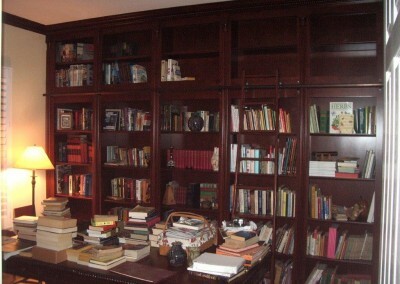 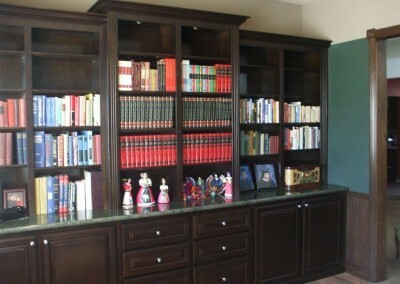 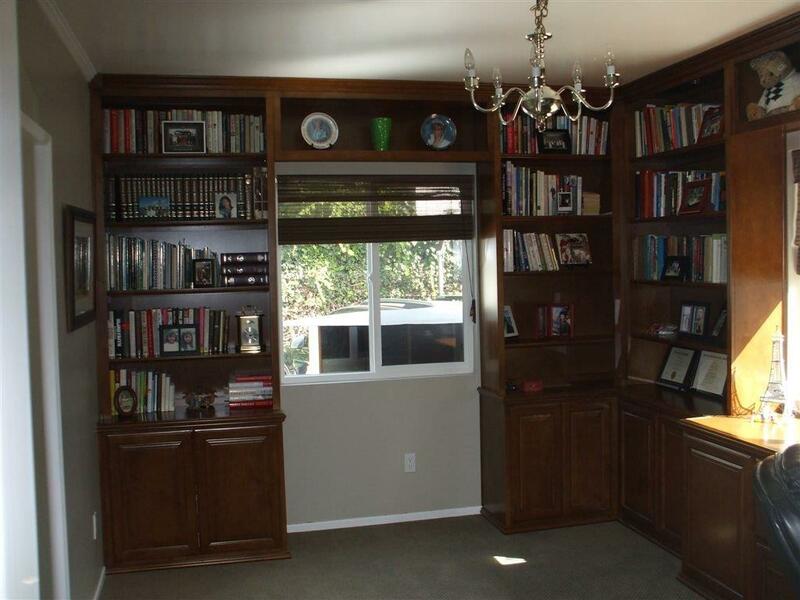 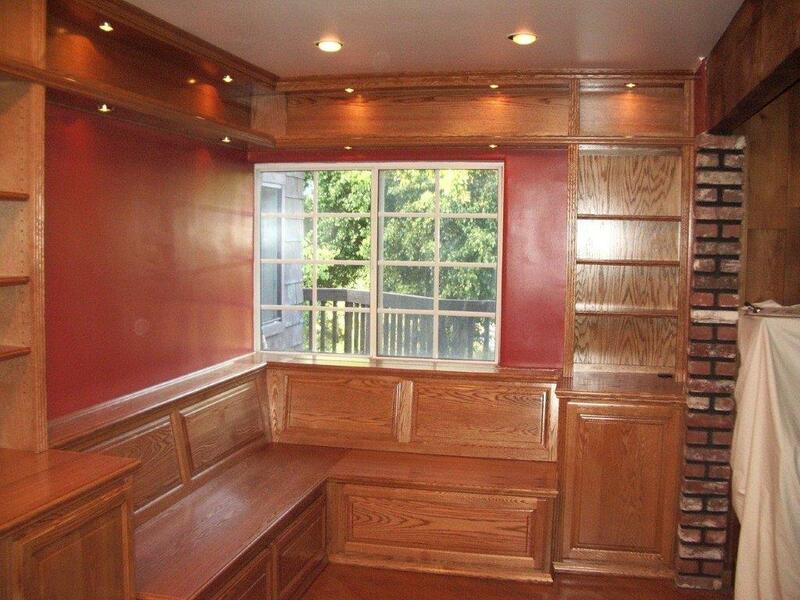 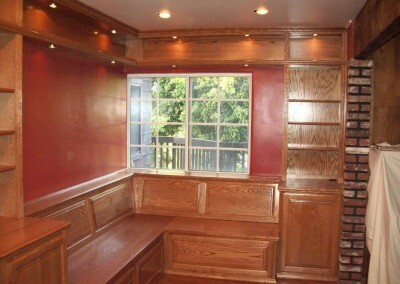 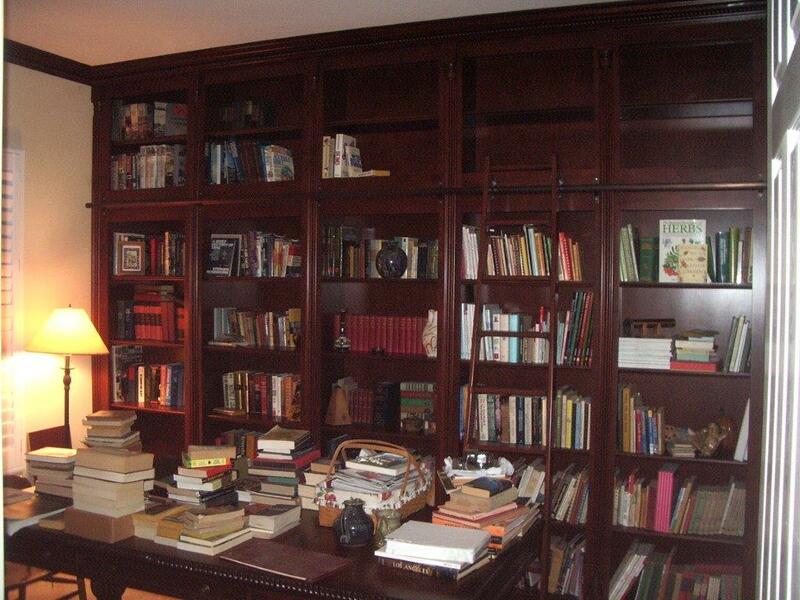 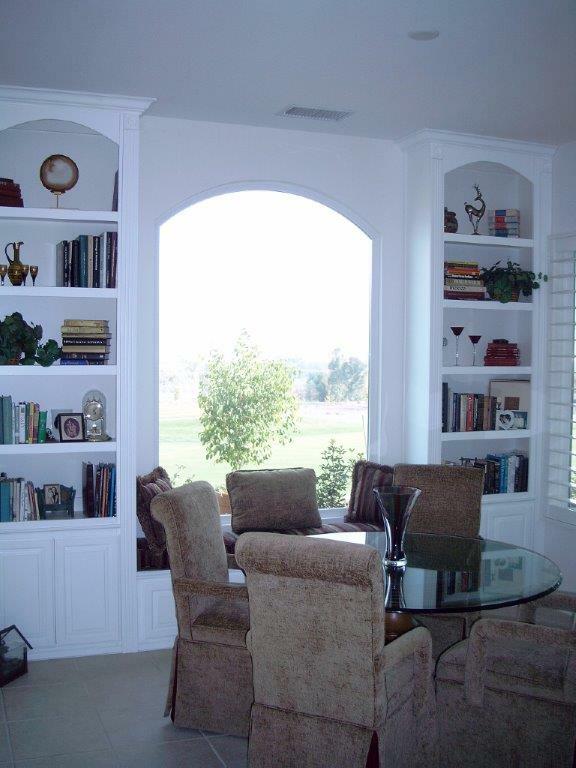 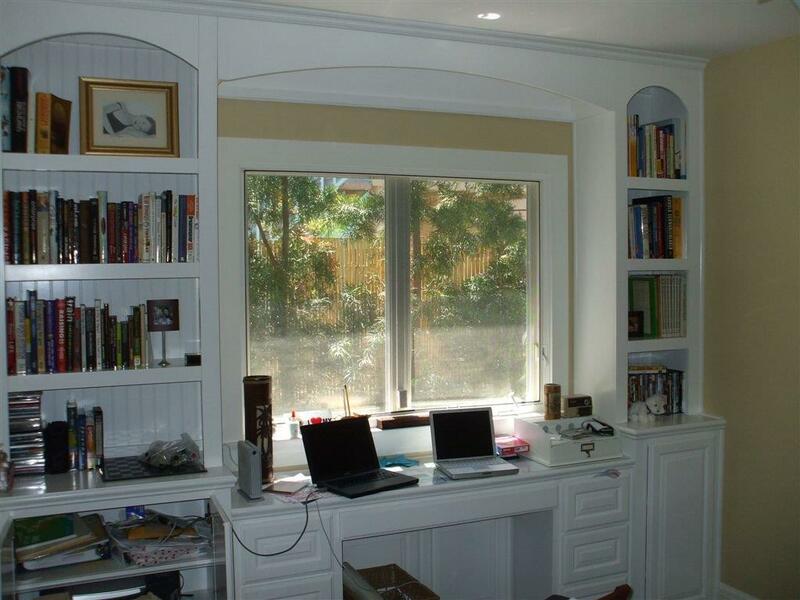 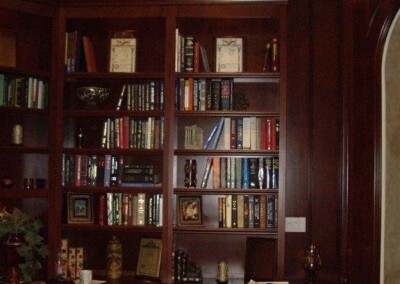 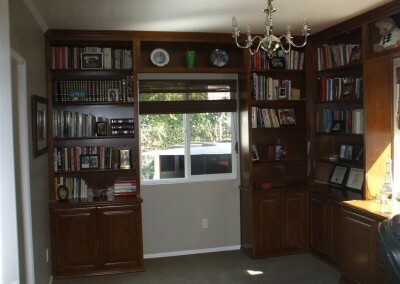 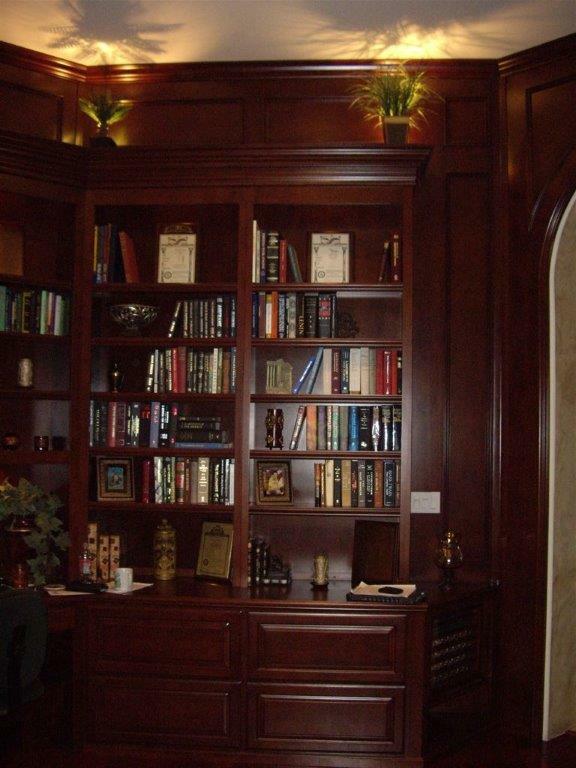 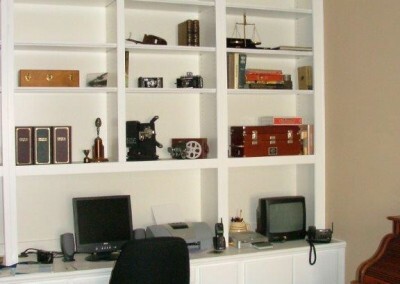 Other home offices include multiple workstations and built-in bookcases. 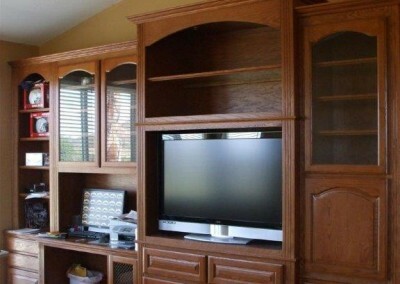 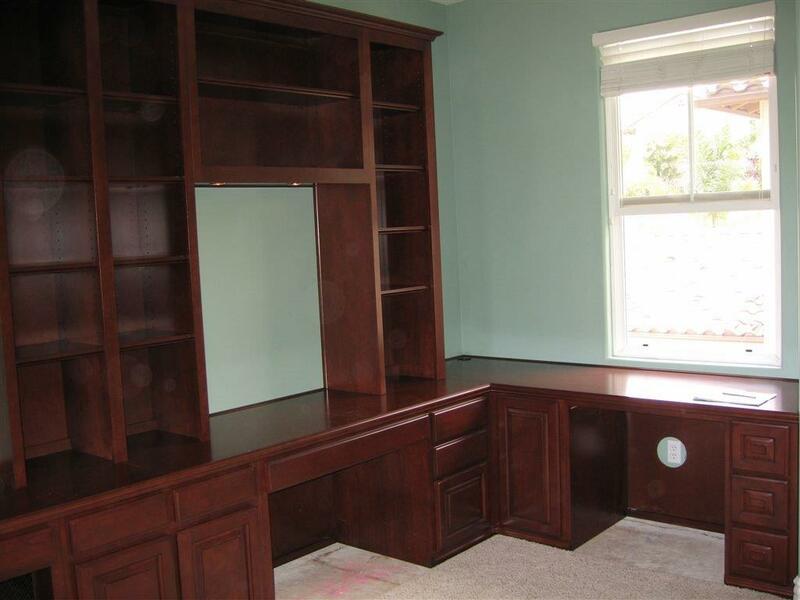 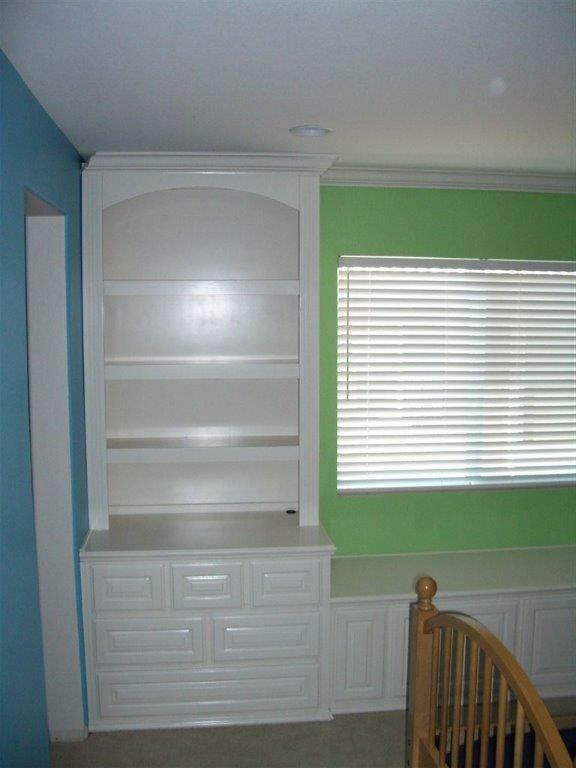 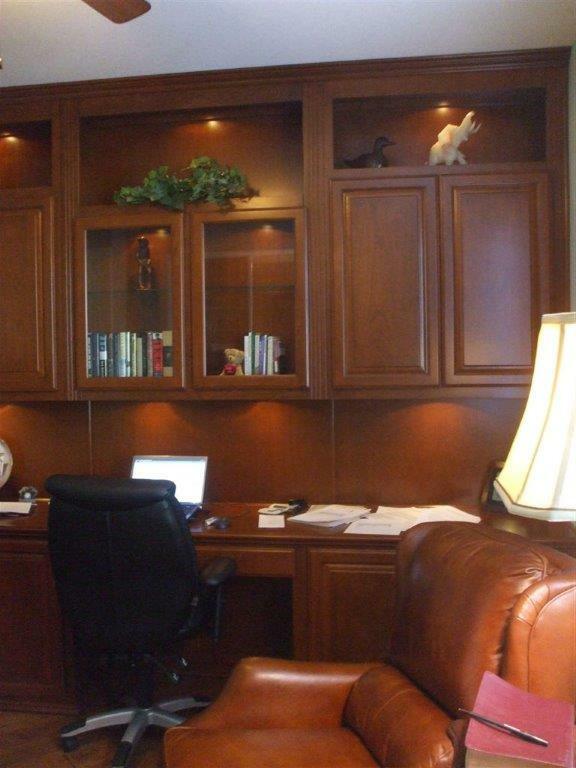 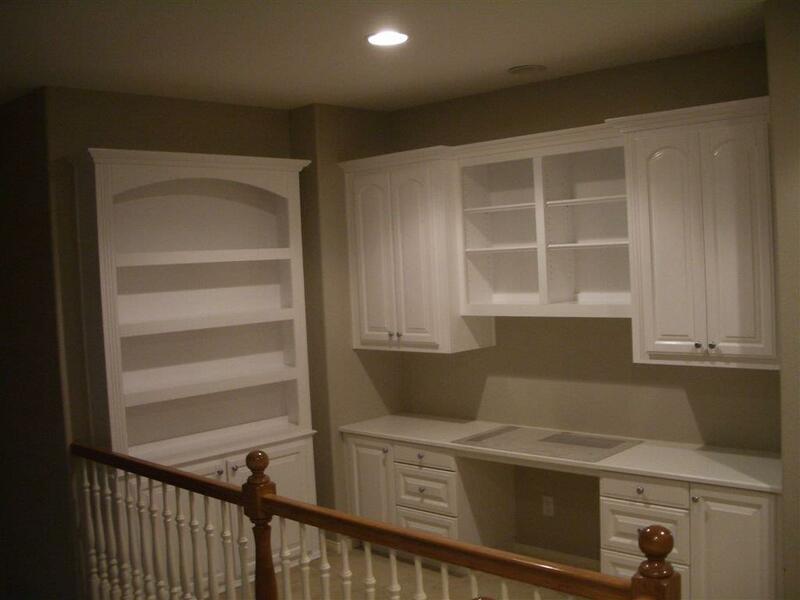 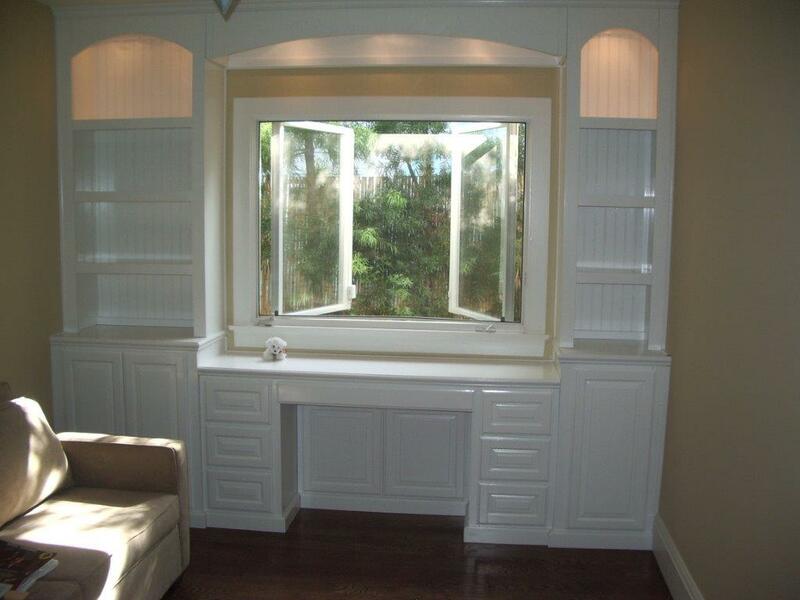 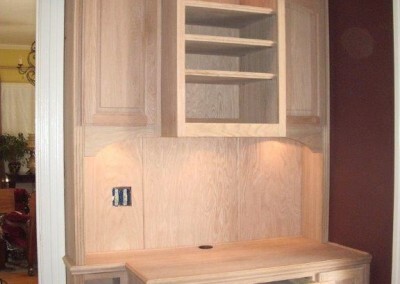 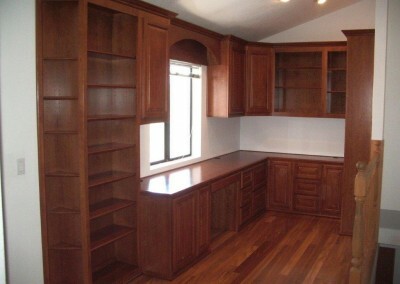 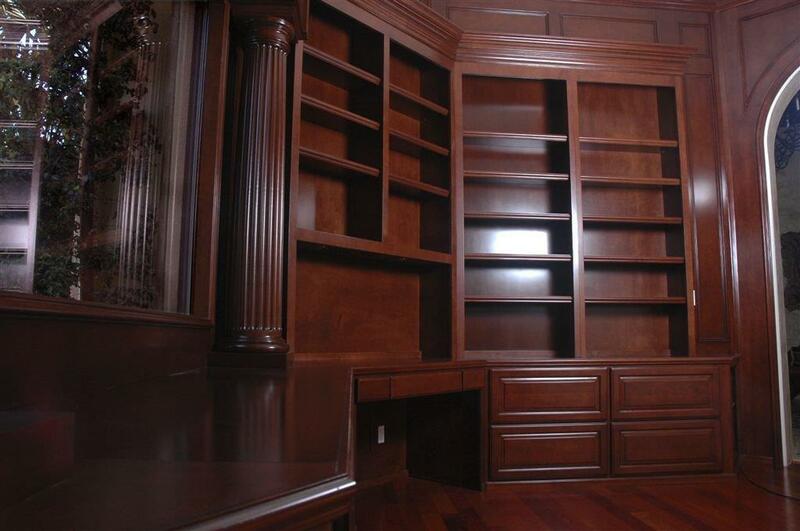 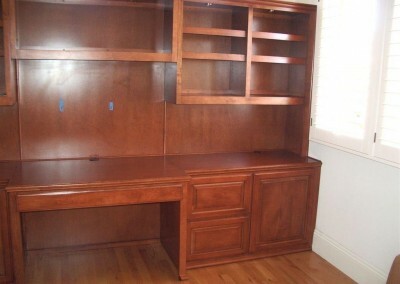 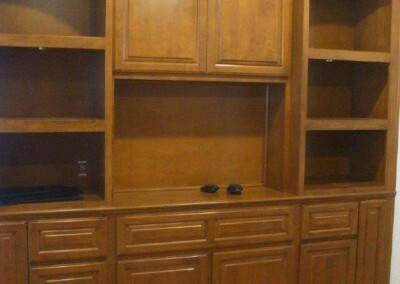 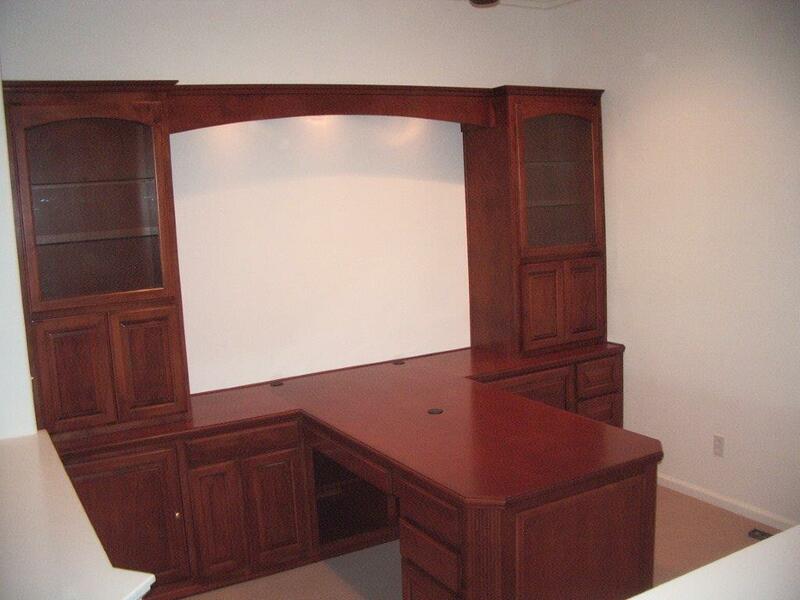 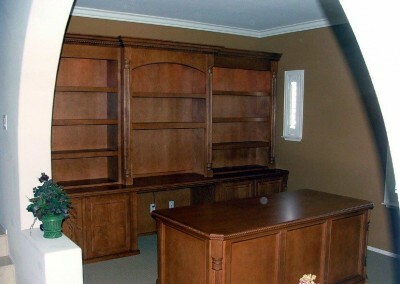 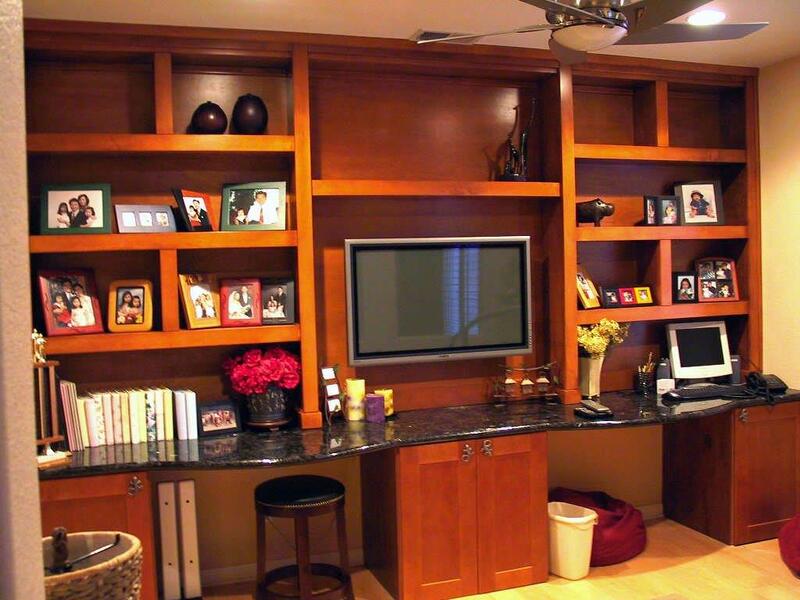 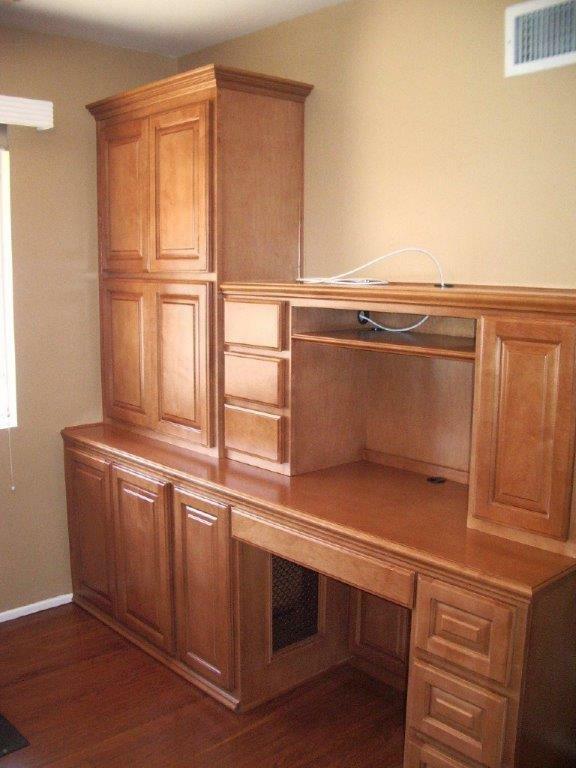 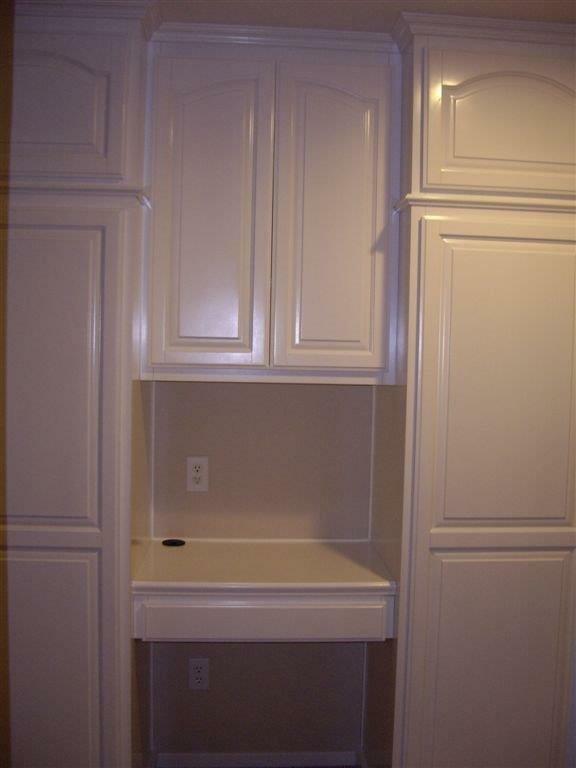 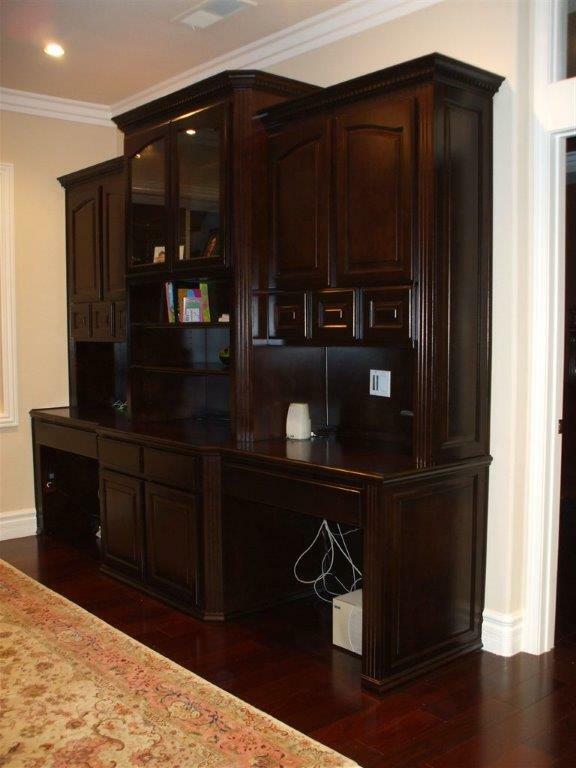 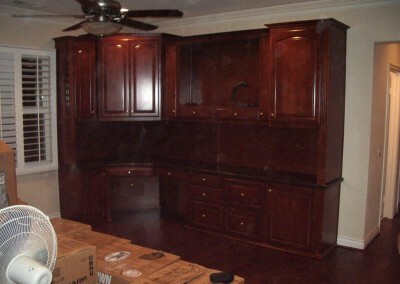 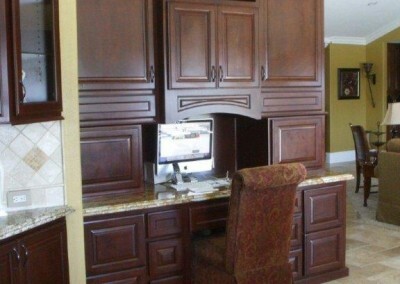 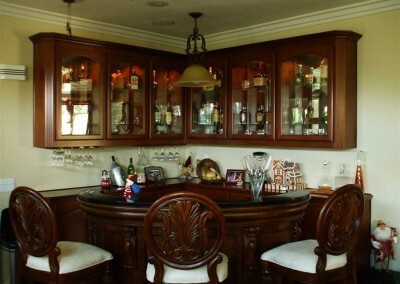 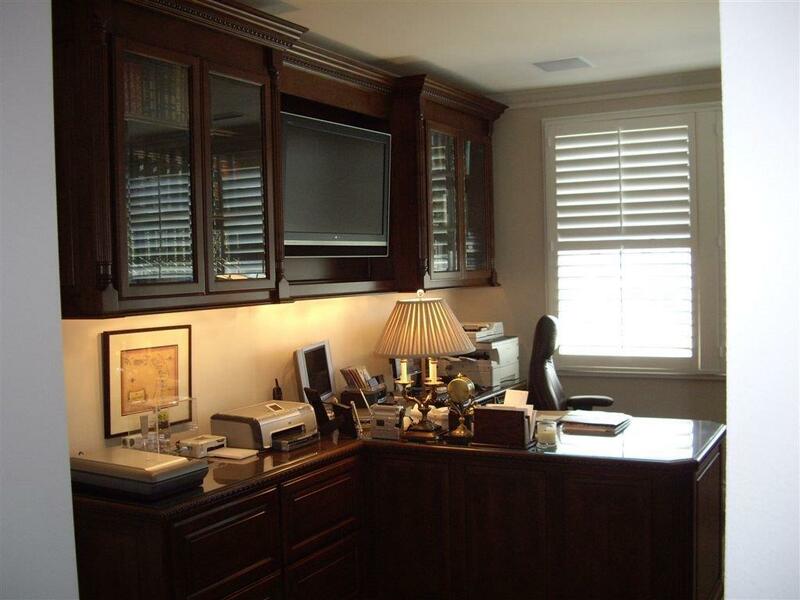 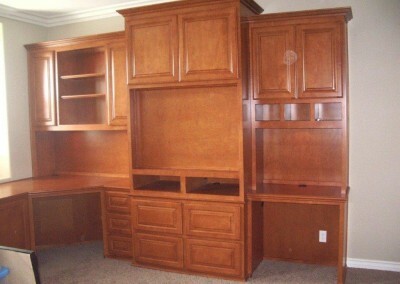 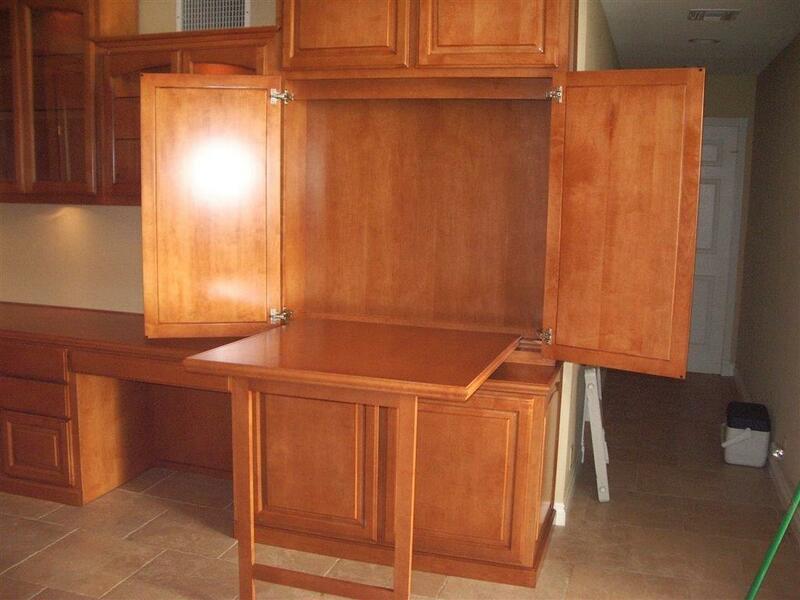 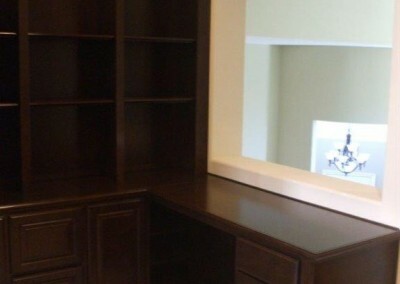 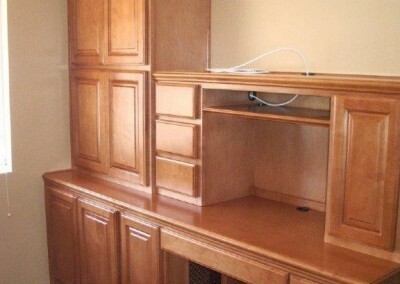 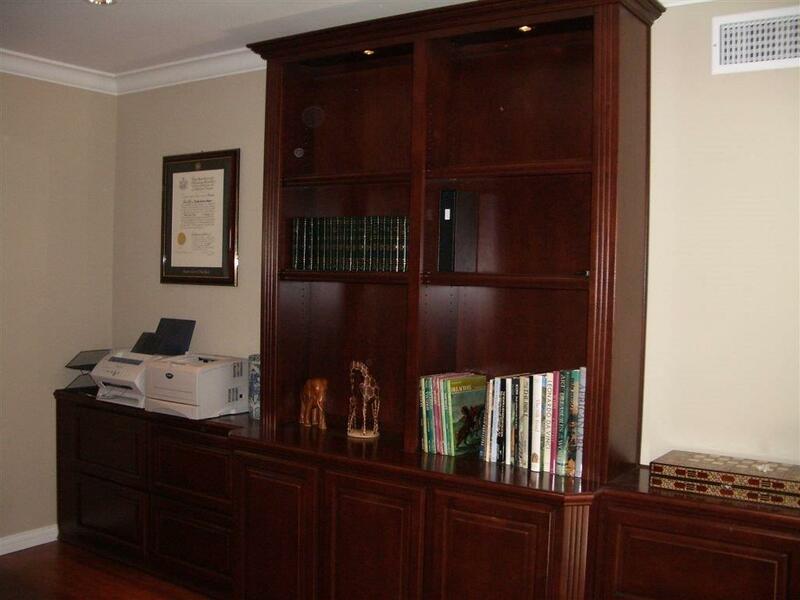 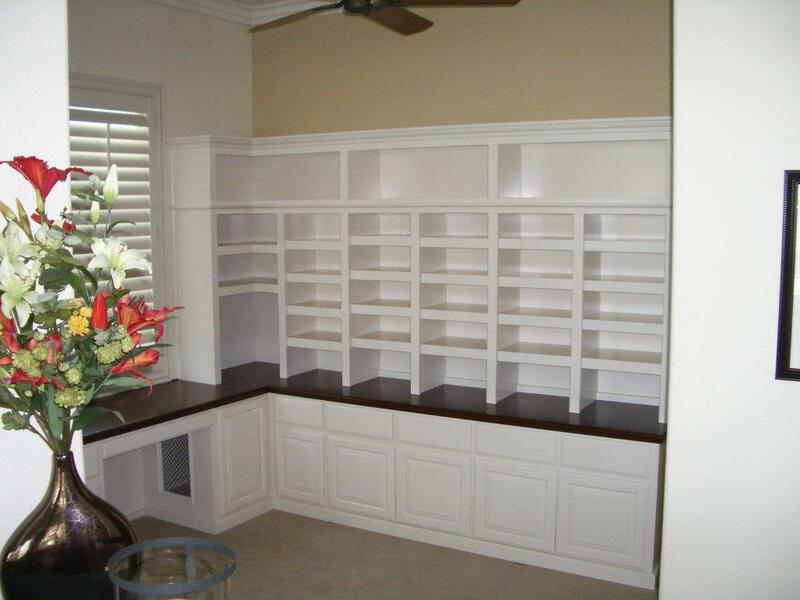 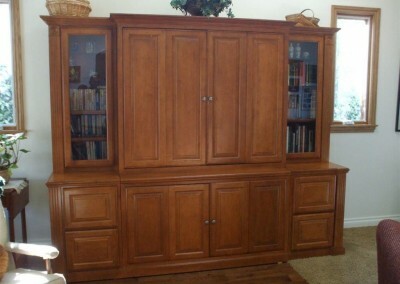 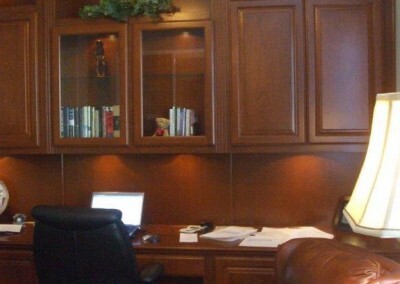 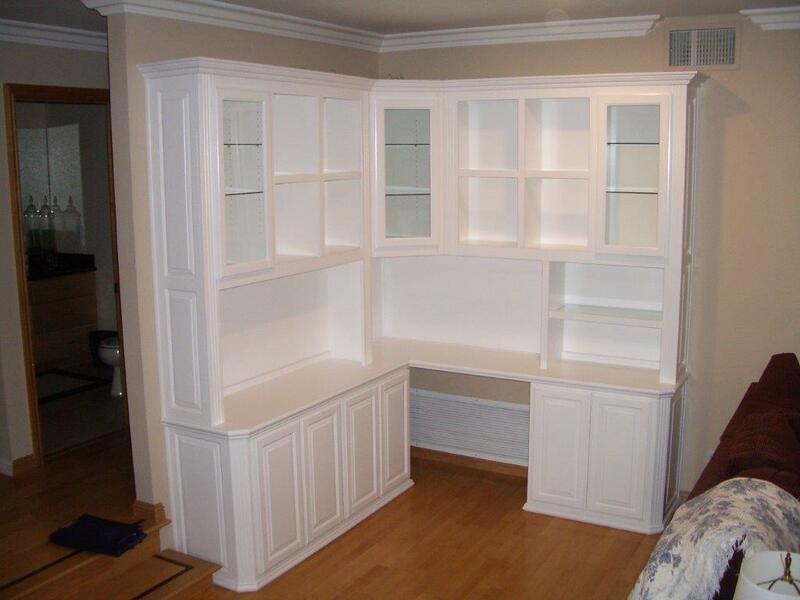 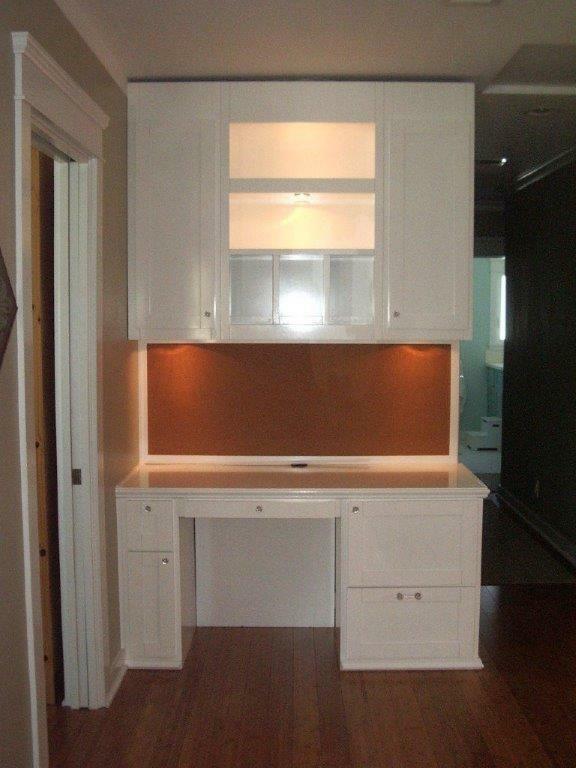 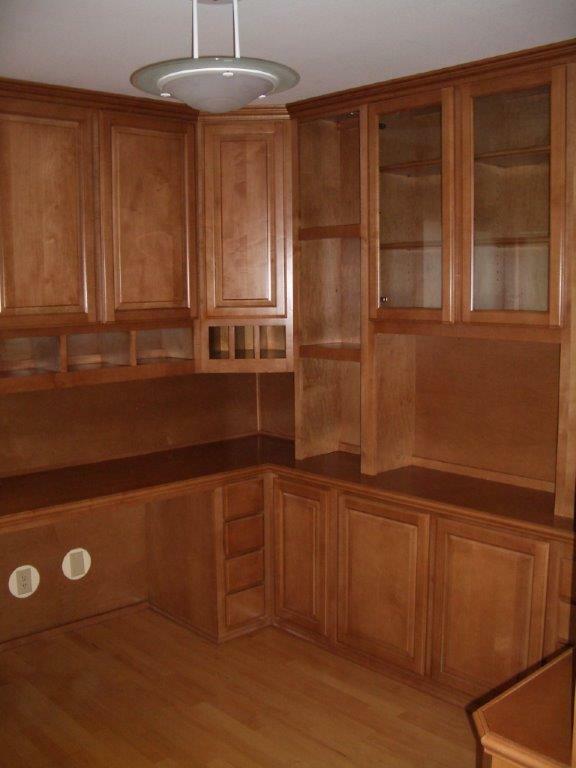 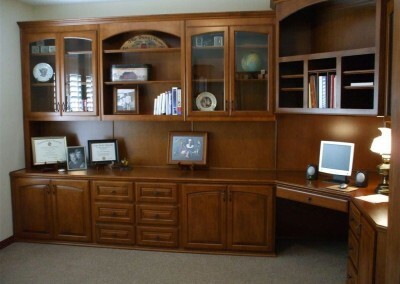 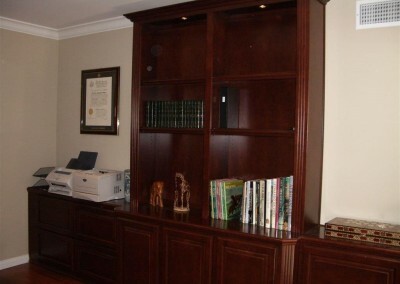 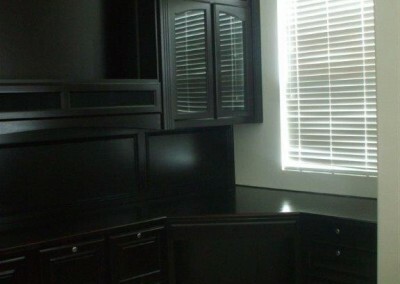 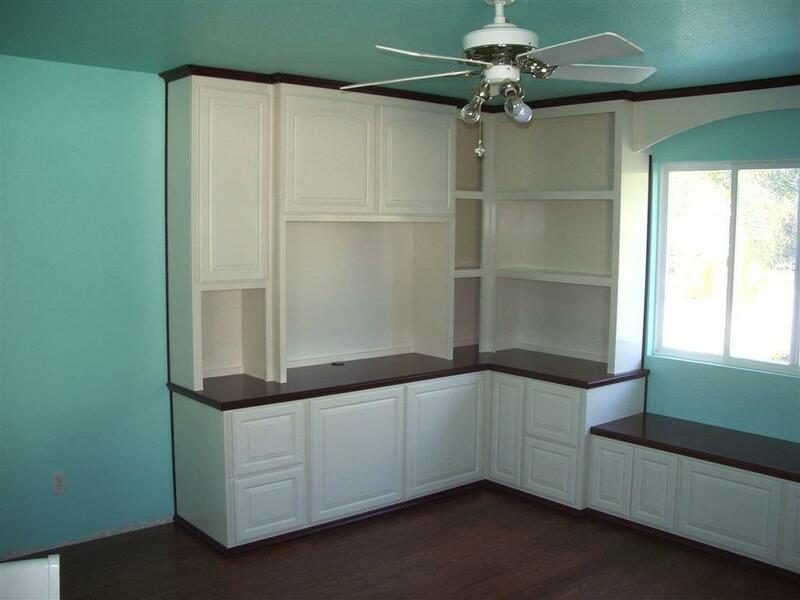 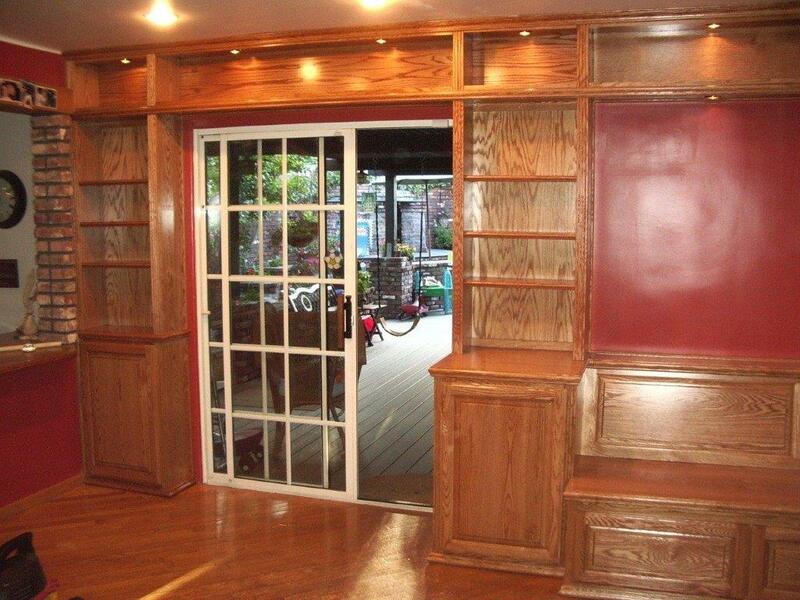 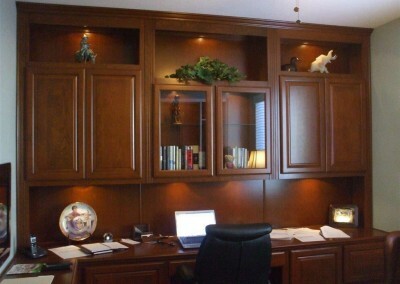 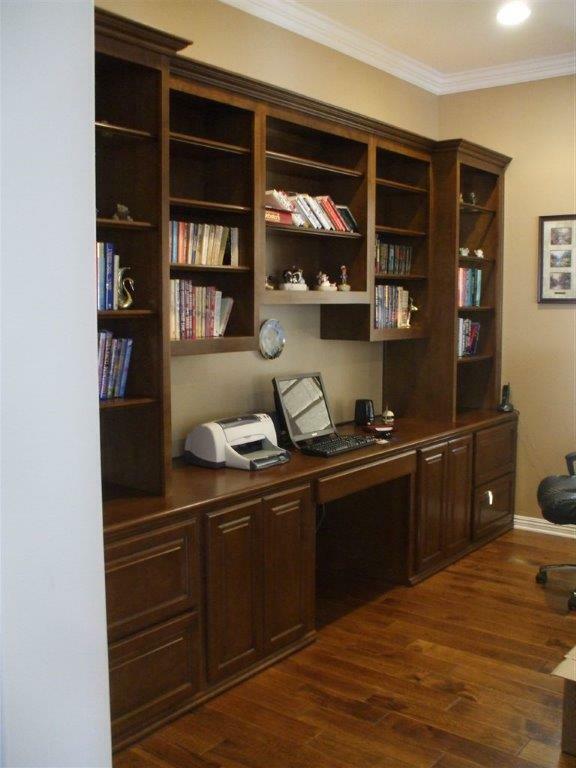 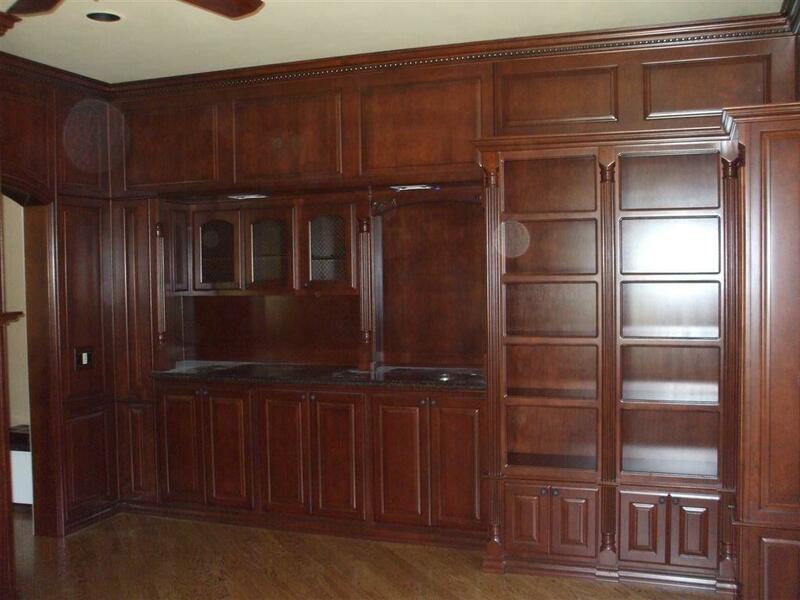 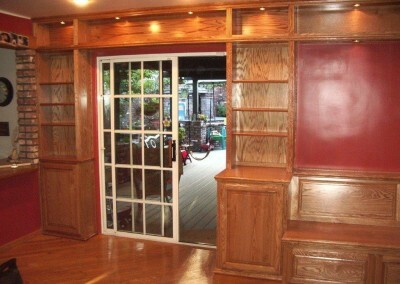 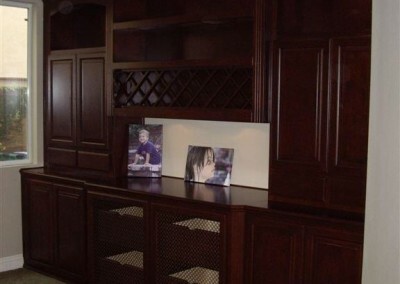 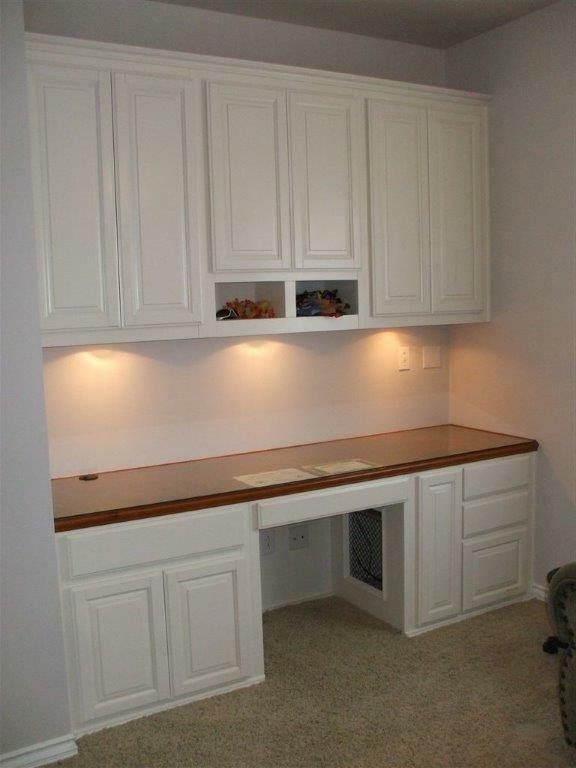 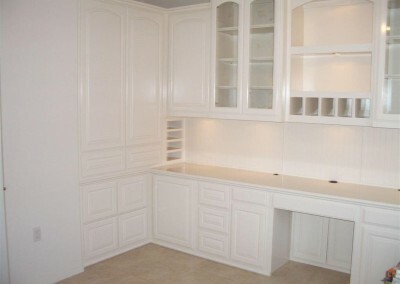 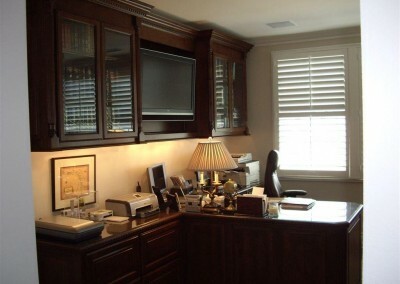 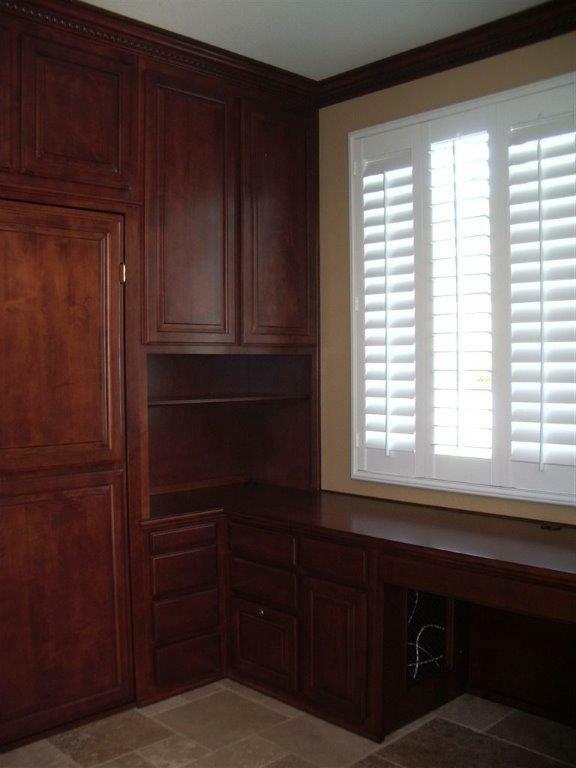 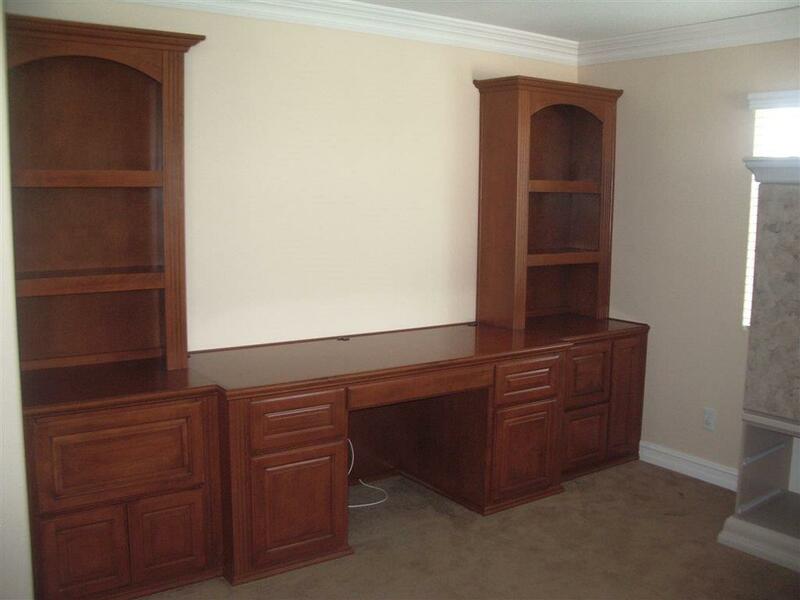 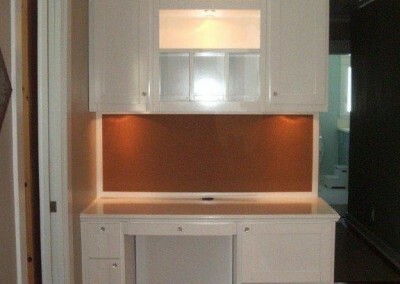 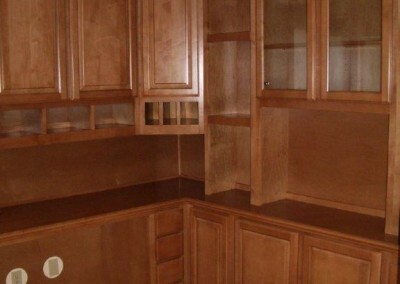 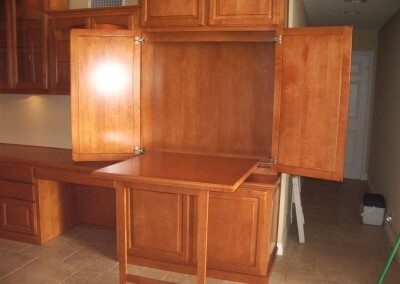 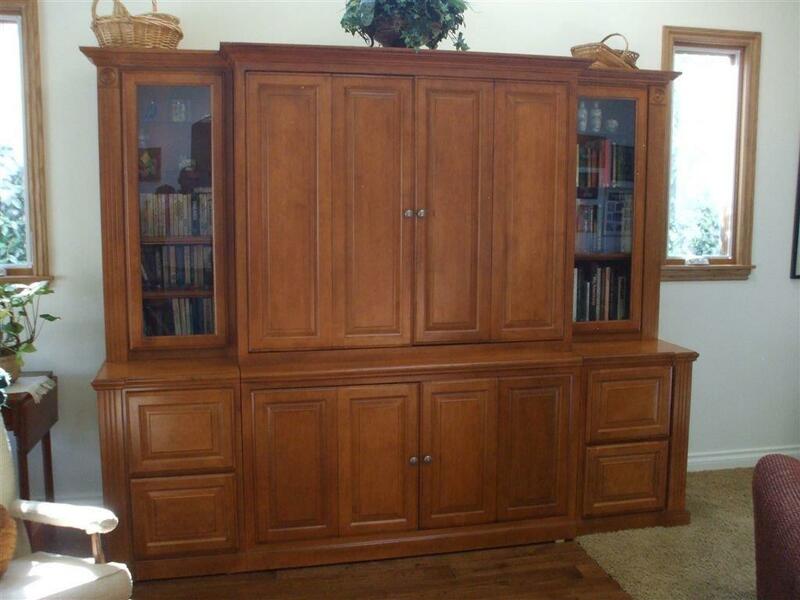 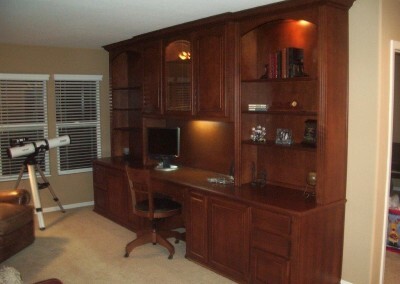 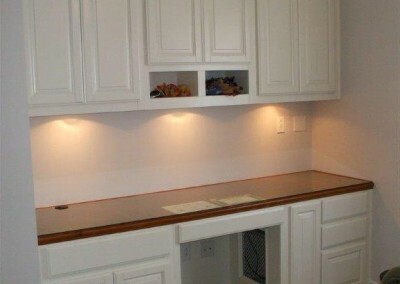 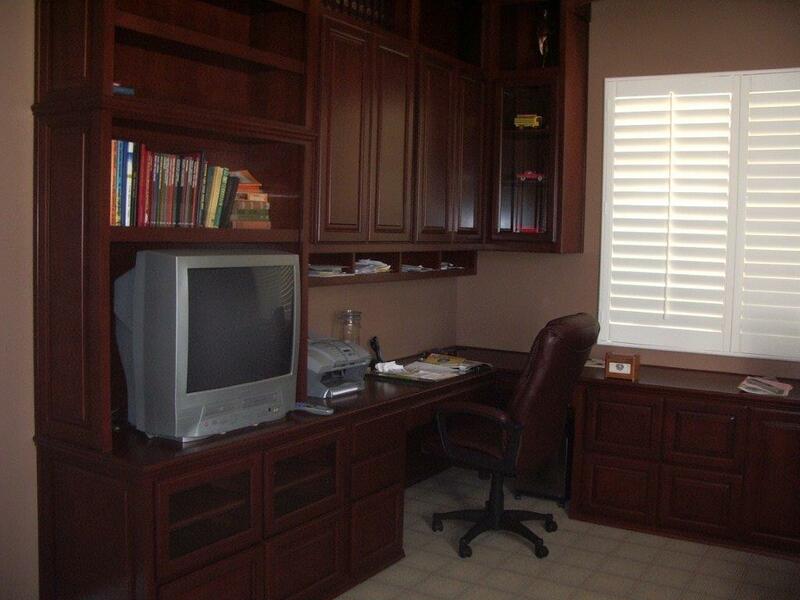 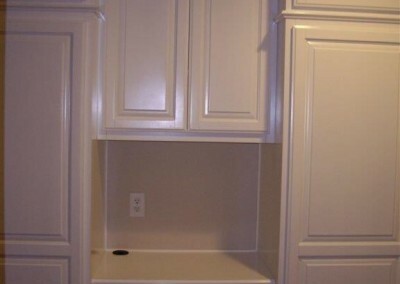 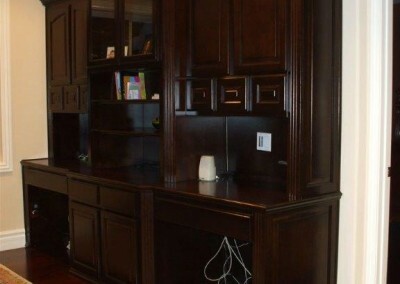 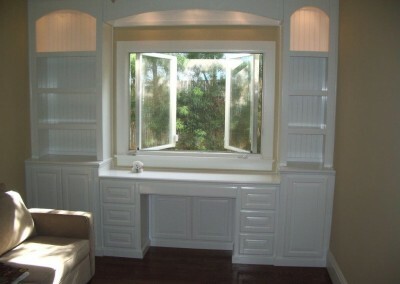 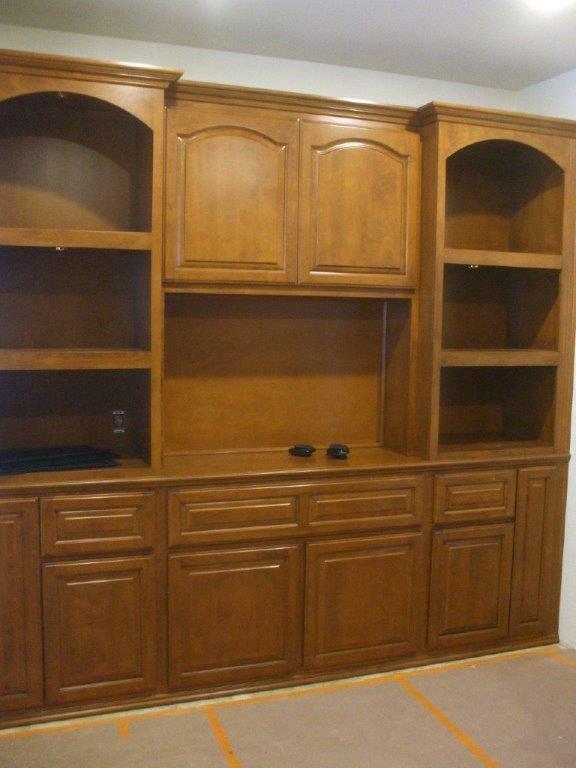 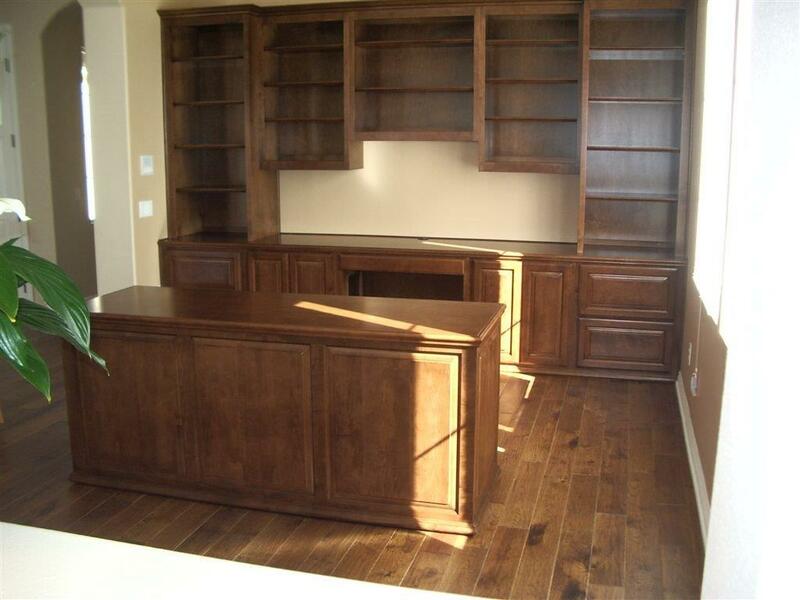 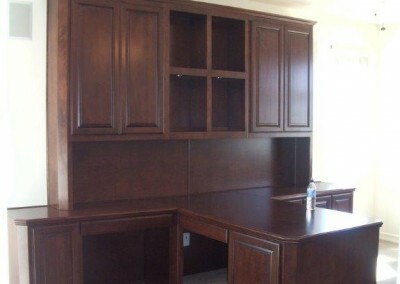 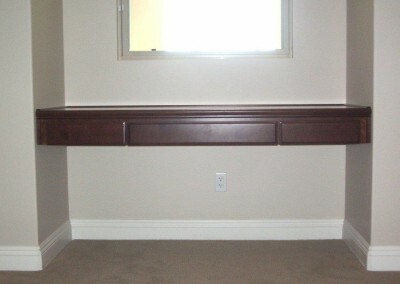 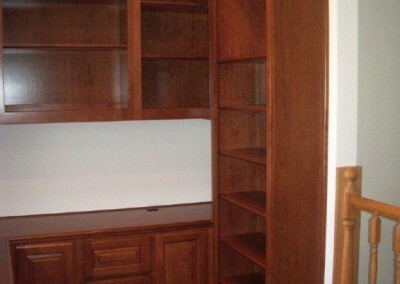 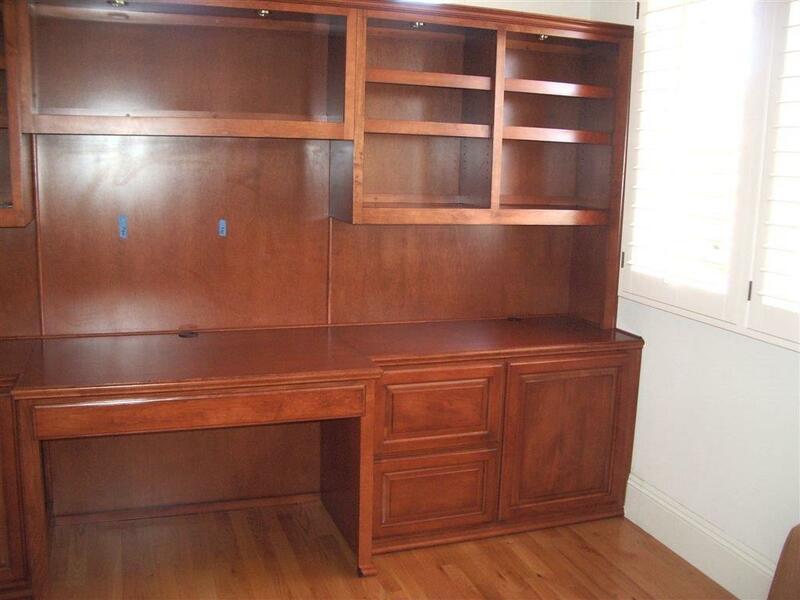 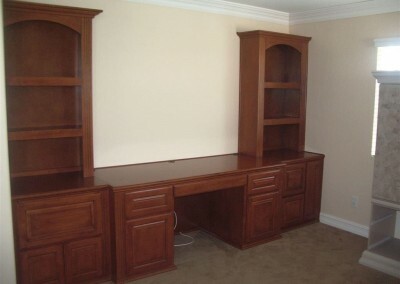 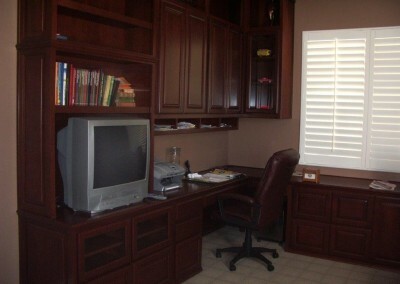 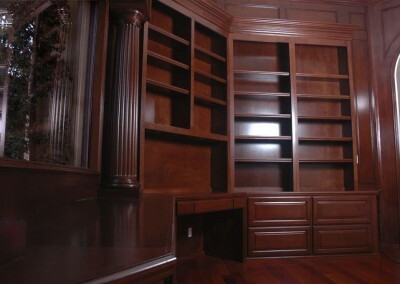 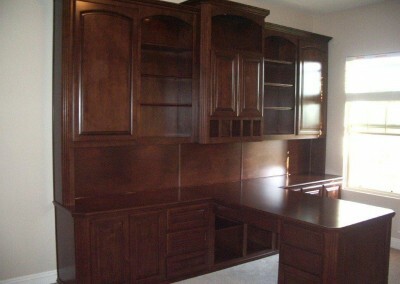 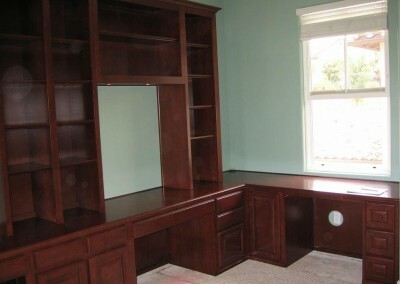 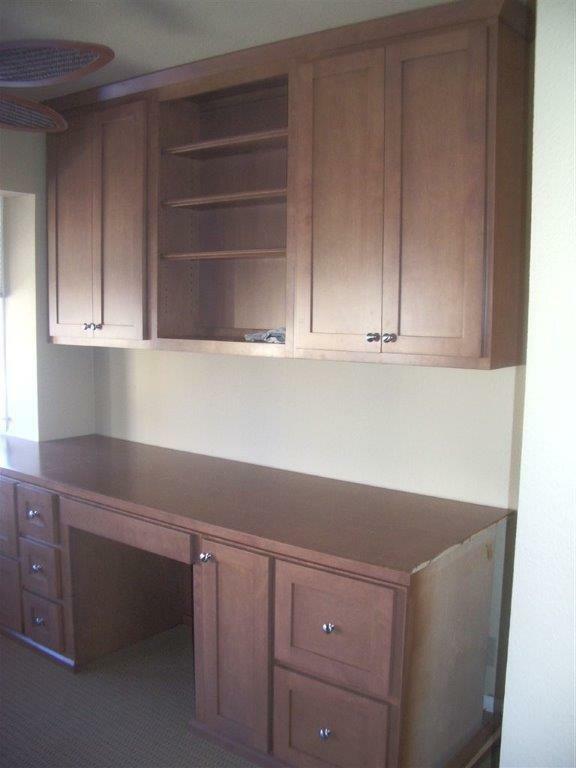 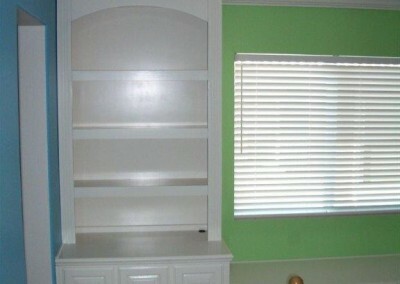 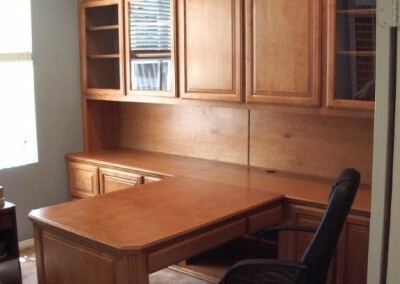 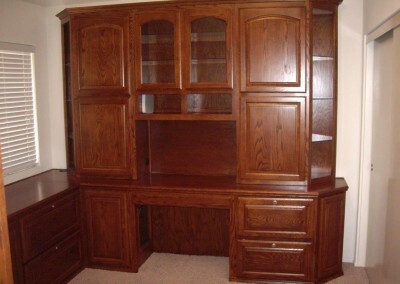 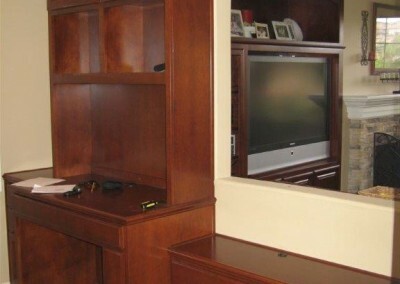 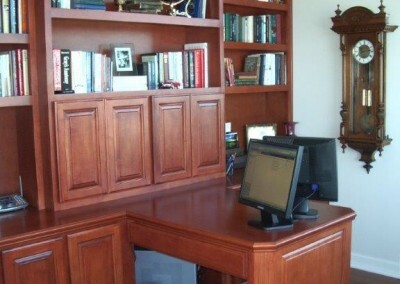 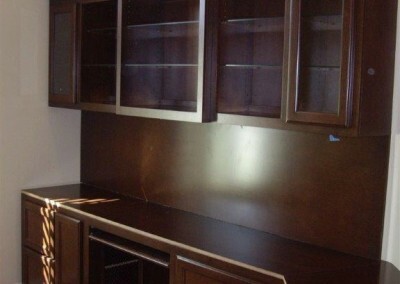 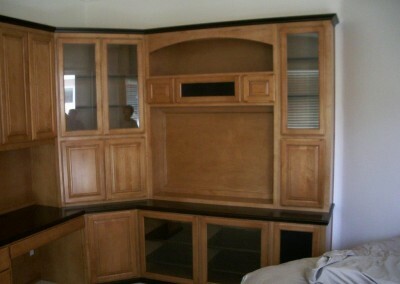 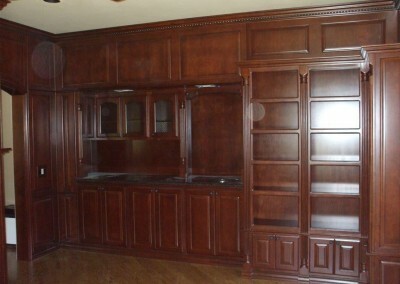 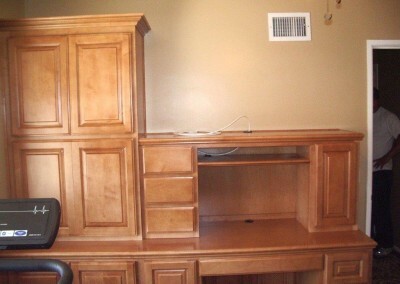 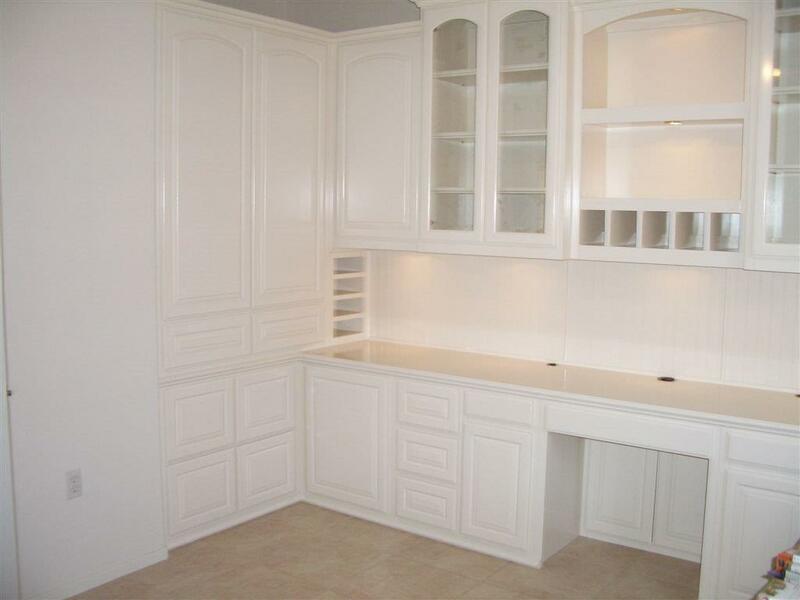 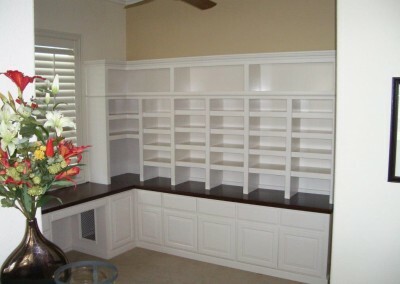 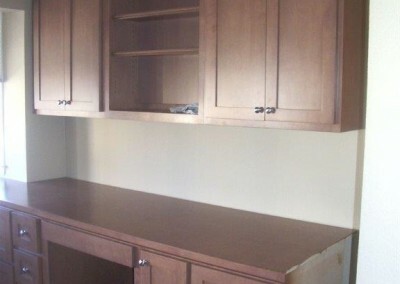 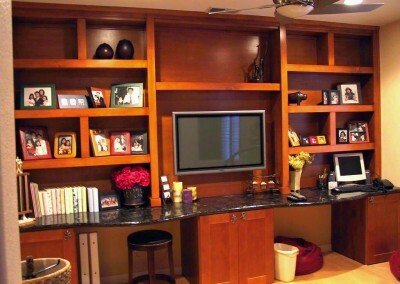 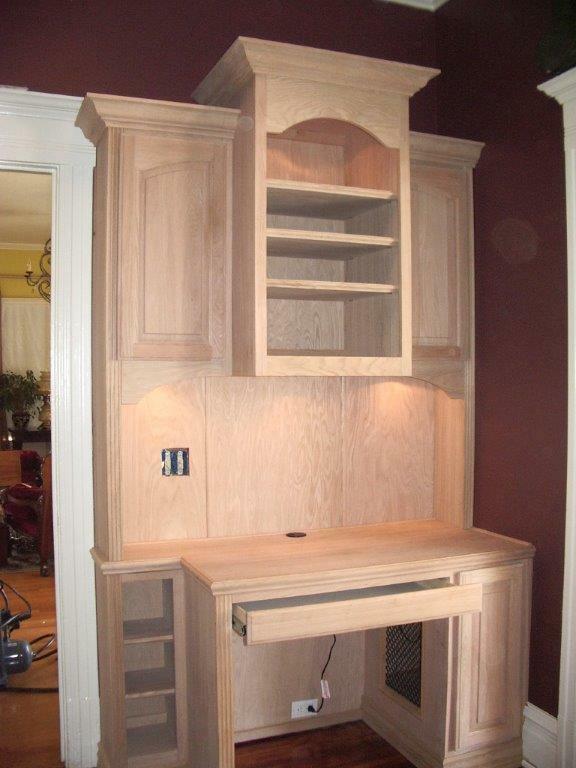 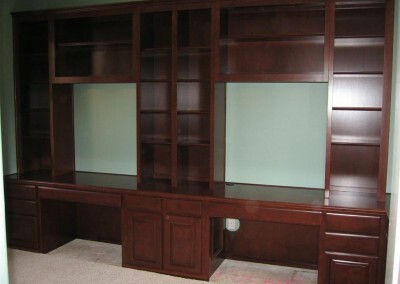 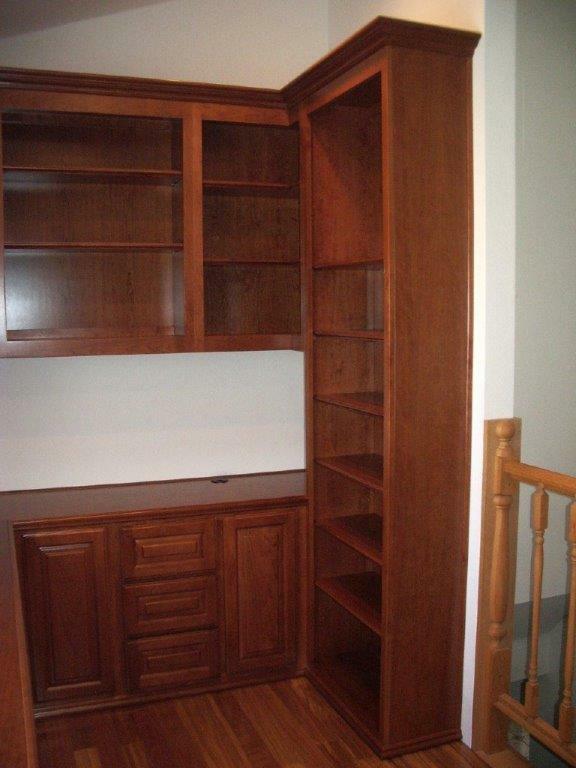 The traditional home office cabinets featuring a built-in desk and built-in shelves are still very popular. 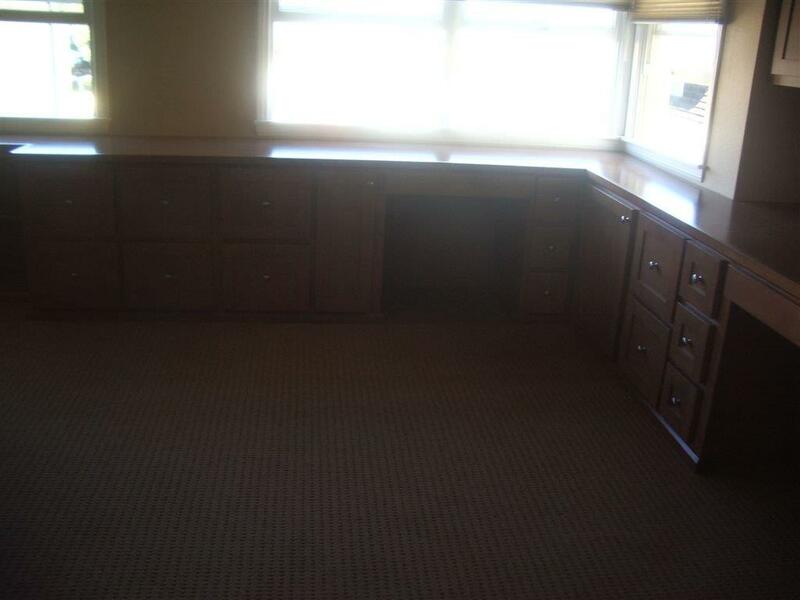 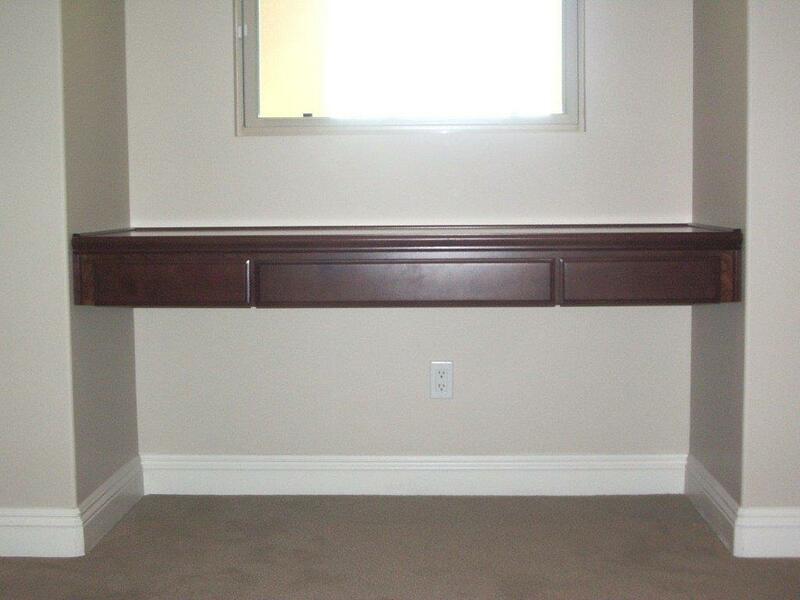 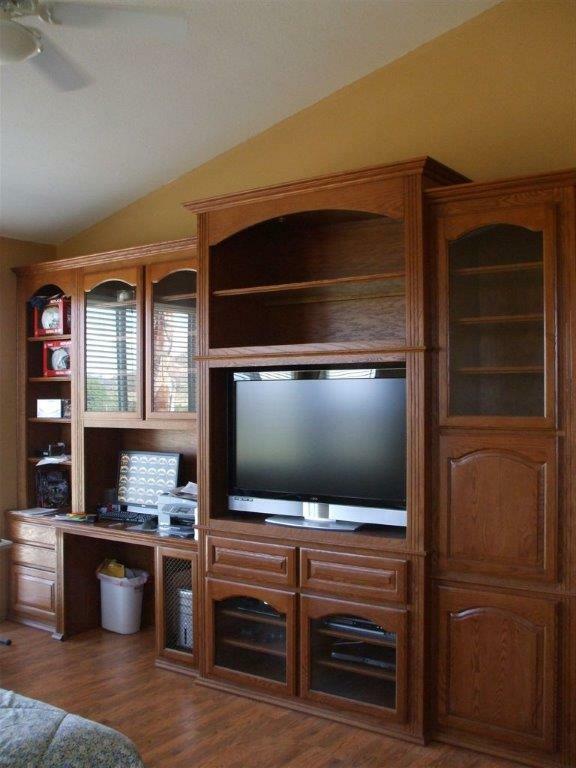 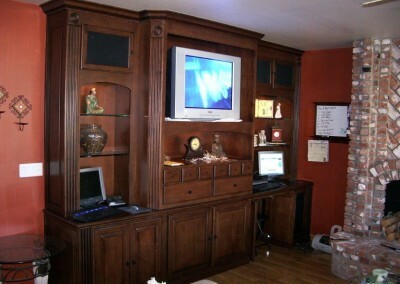 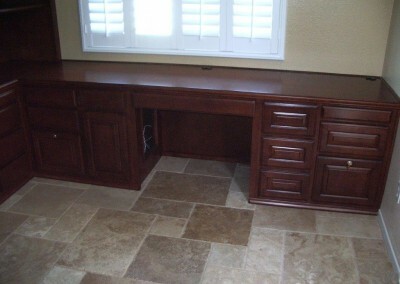 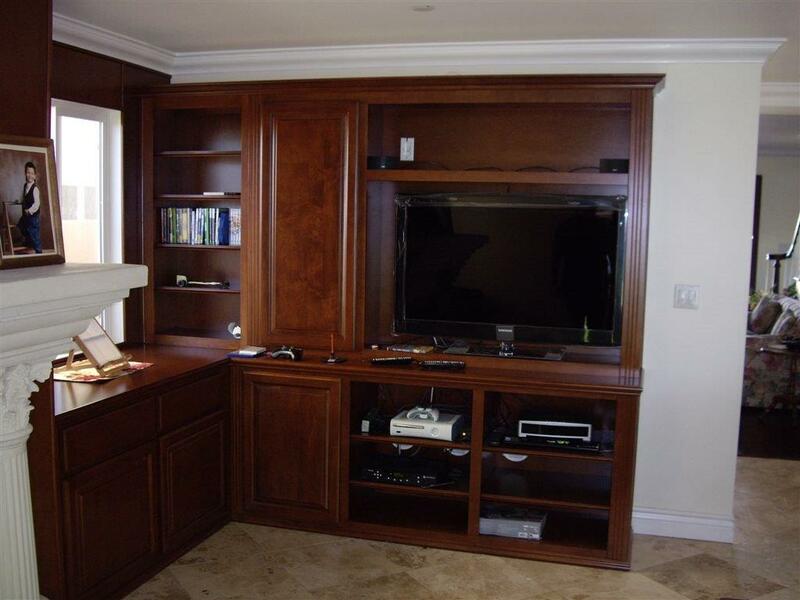 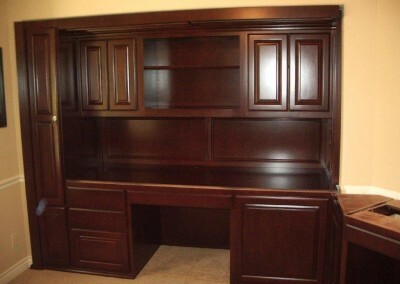 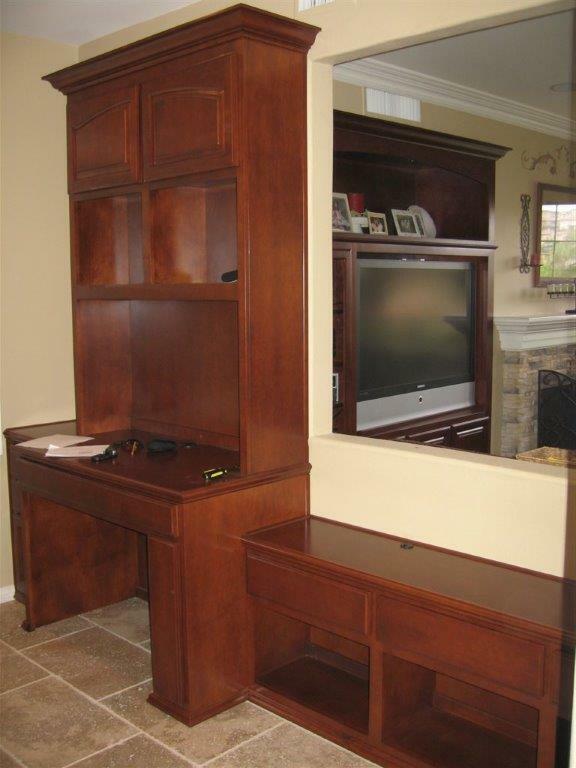 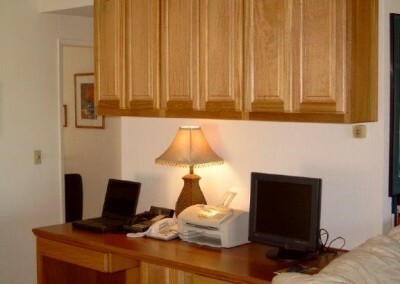 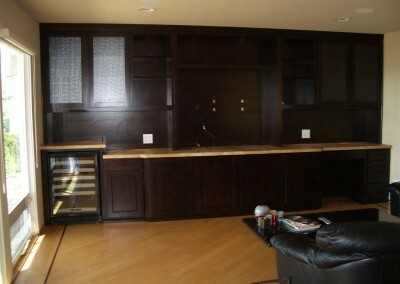 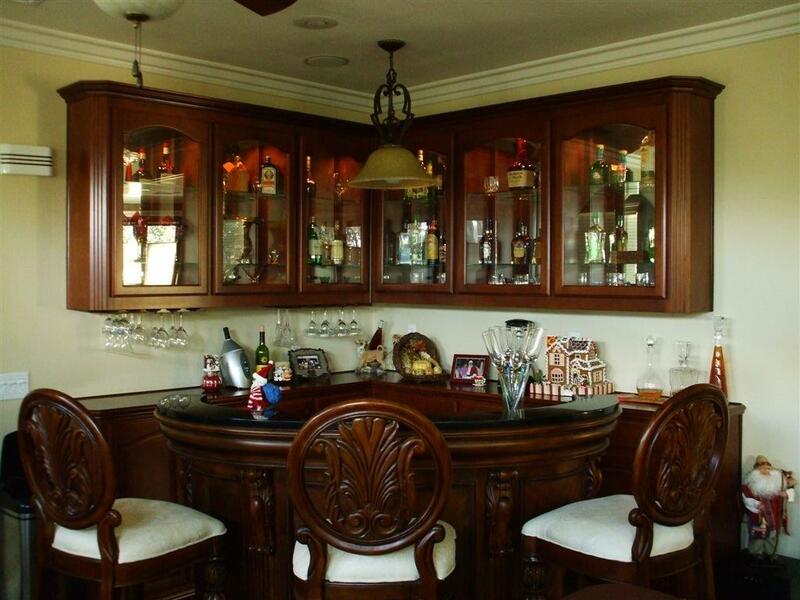 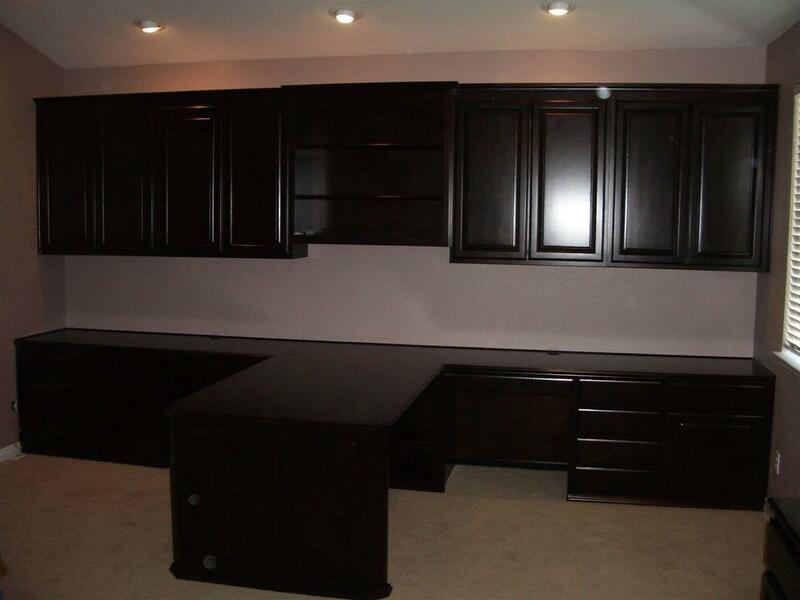 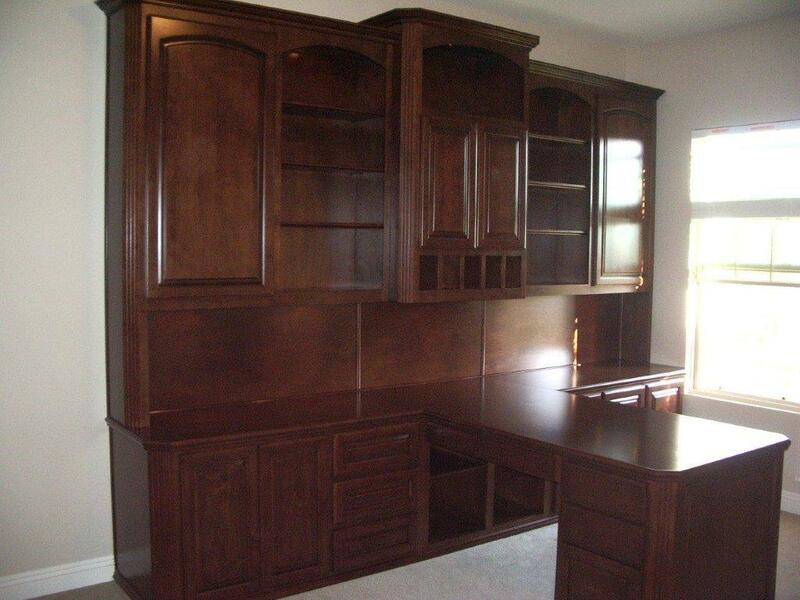 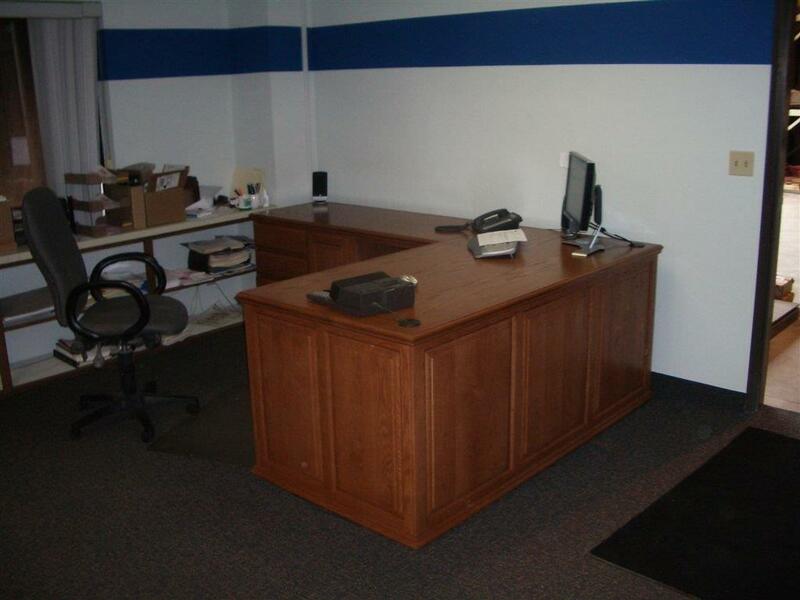 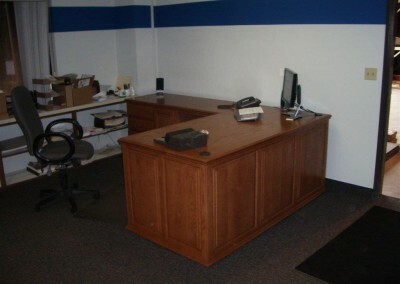 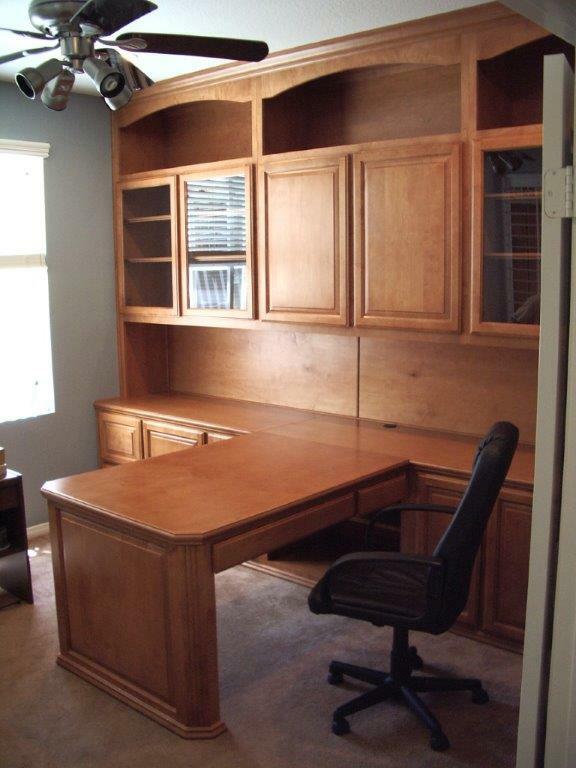 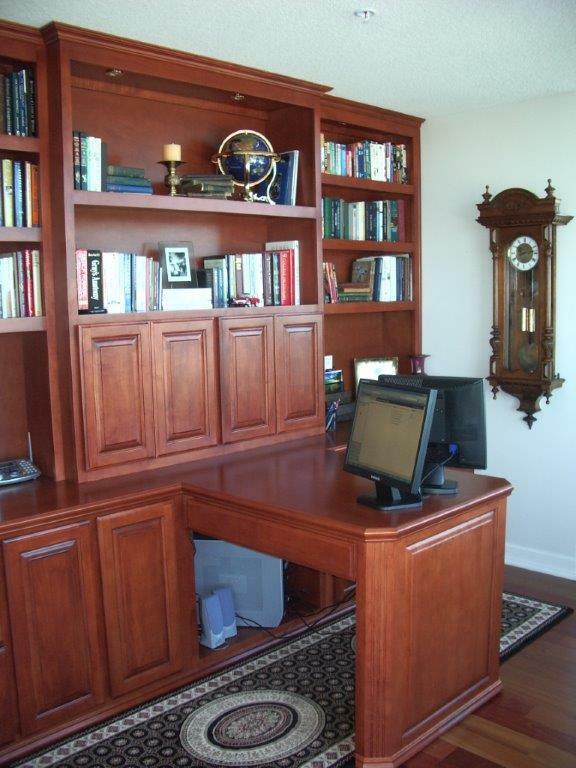 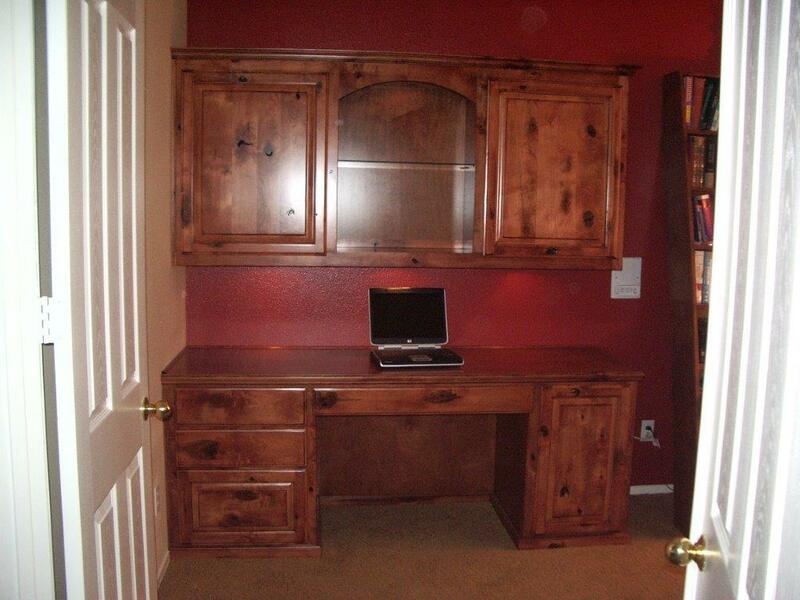 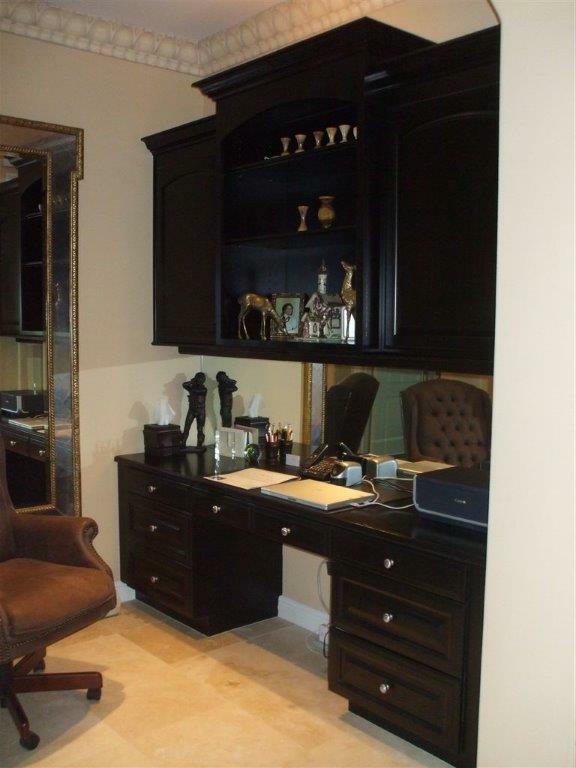 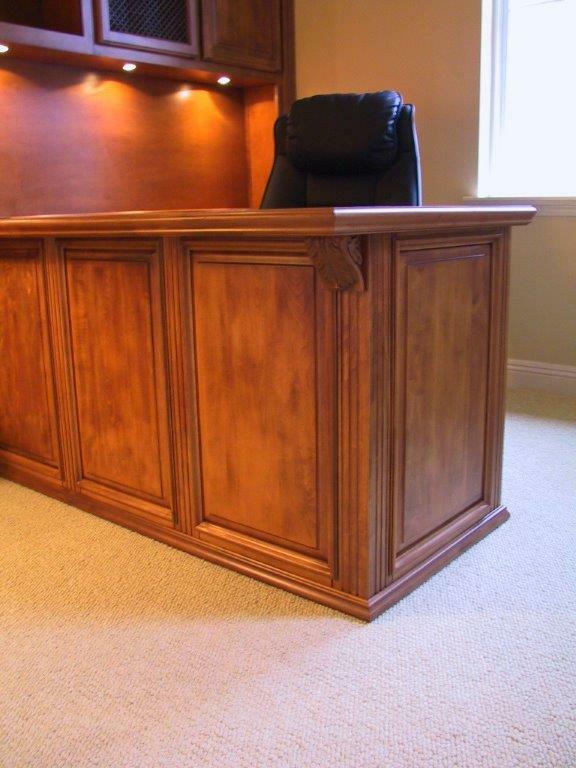 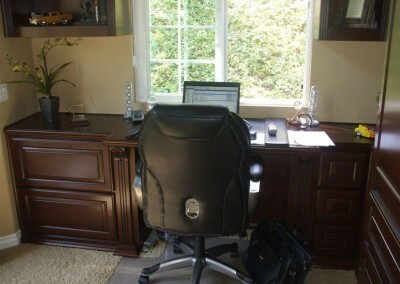 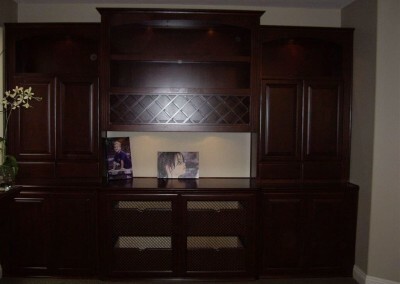 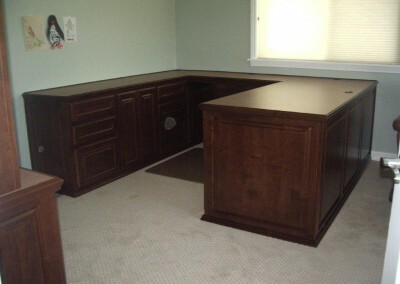 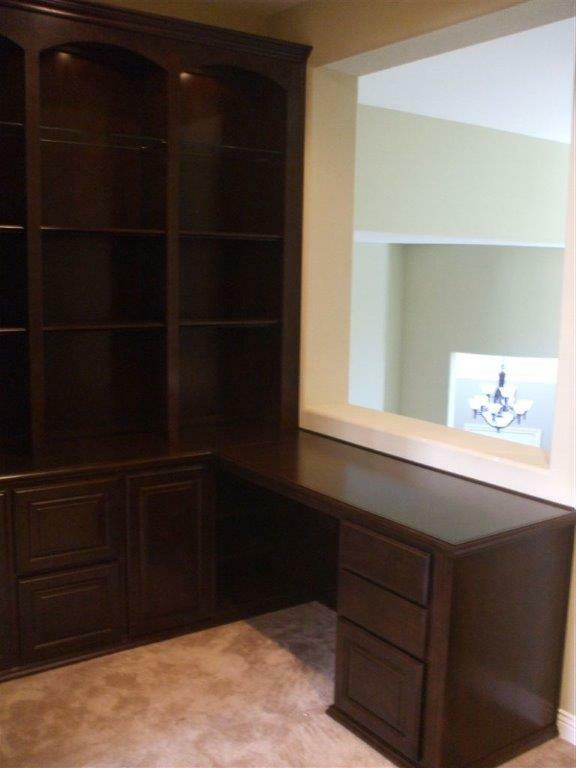 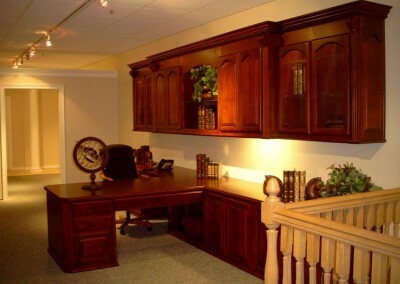 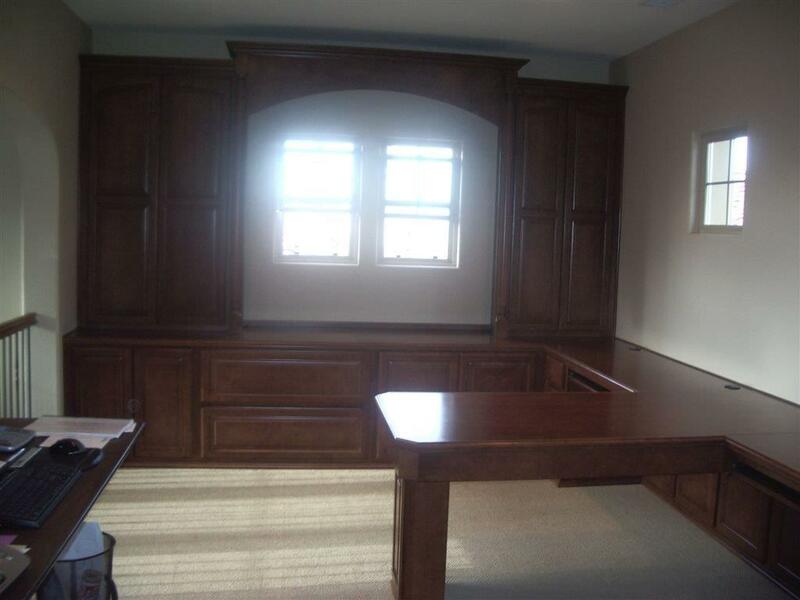 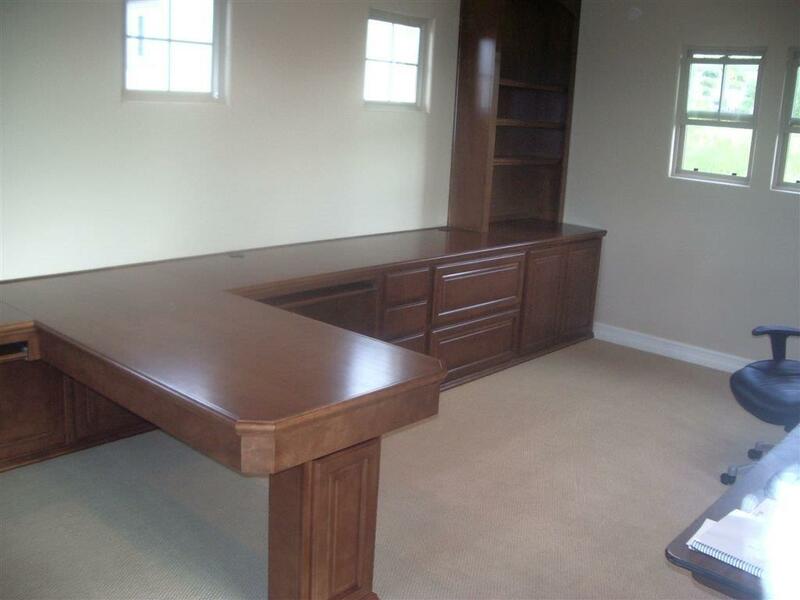 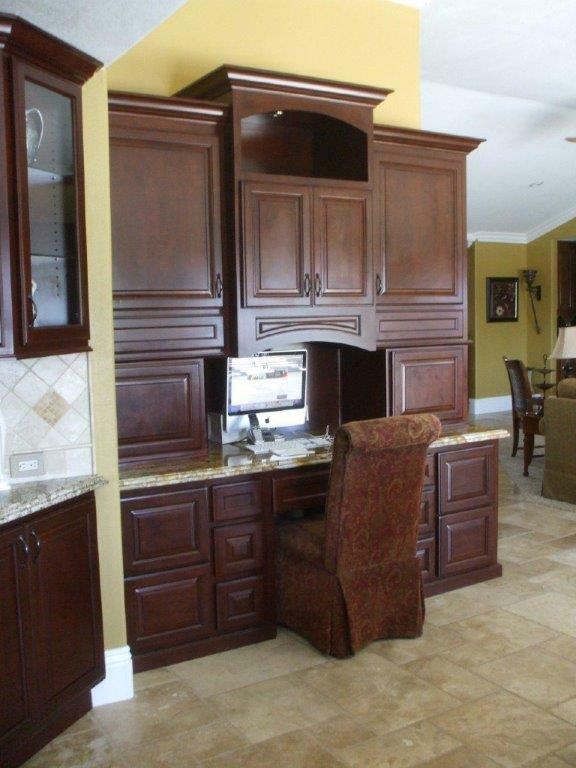 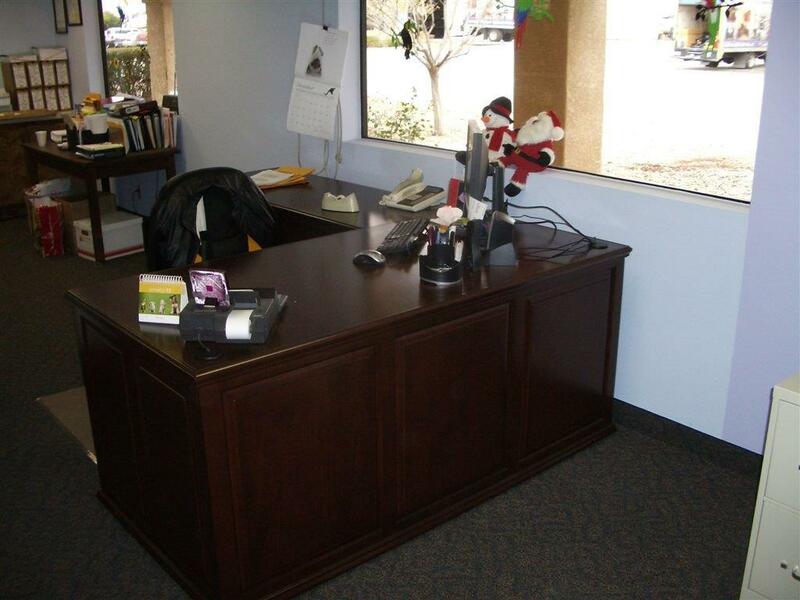 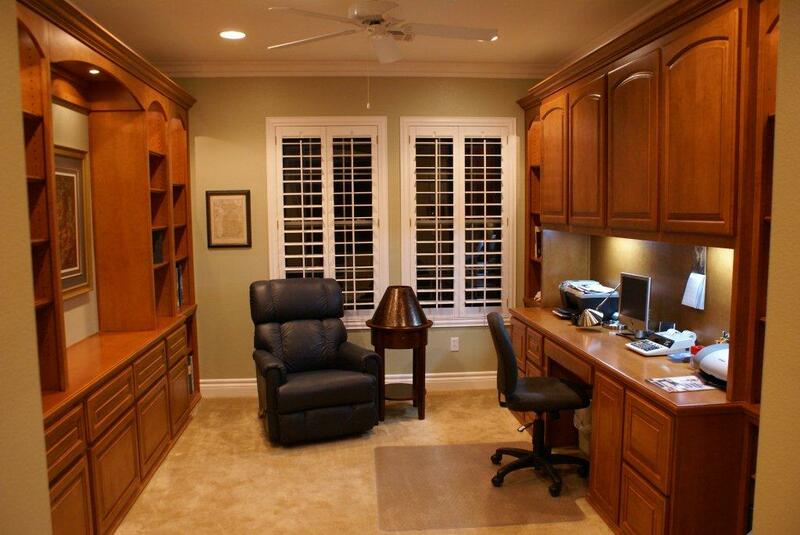 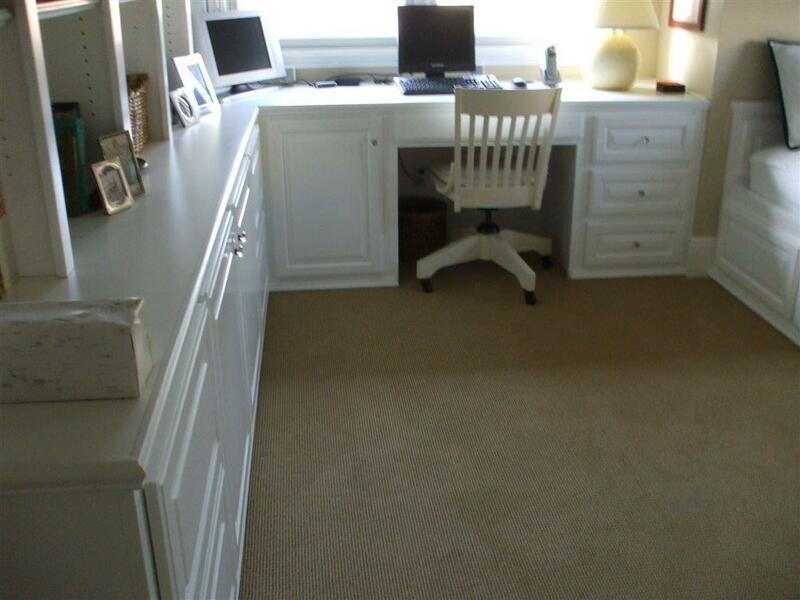 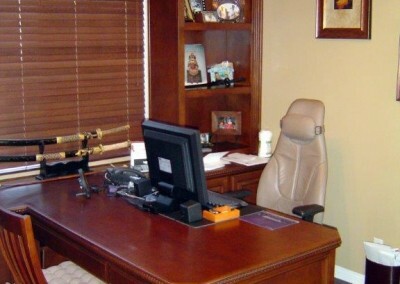 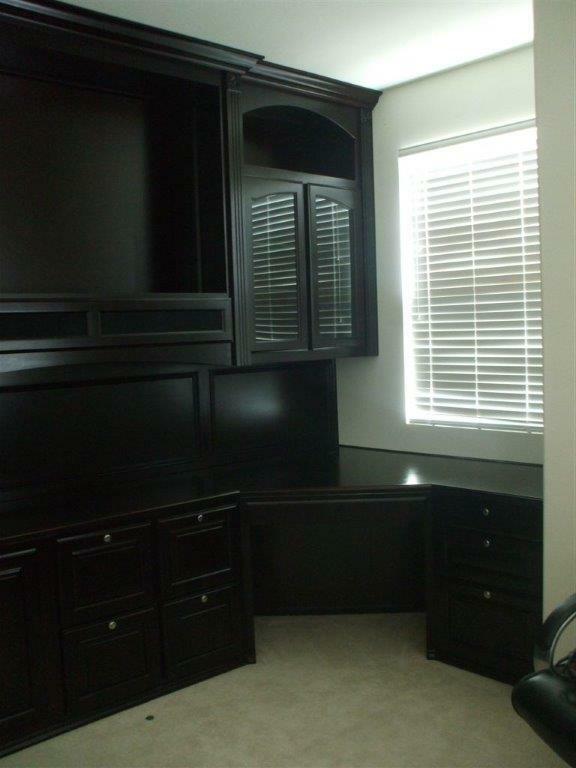 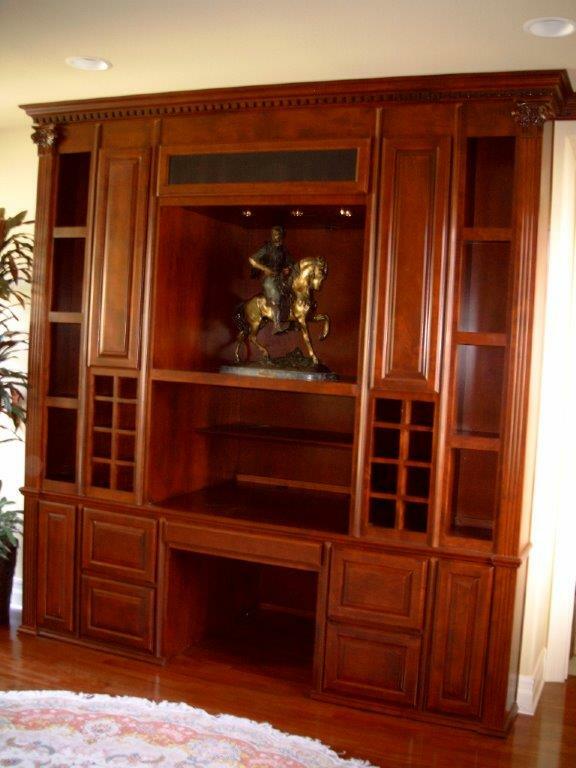 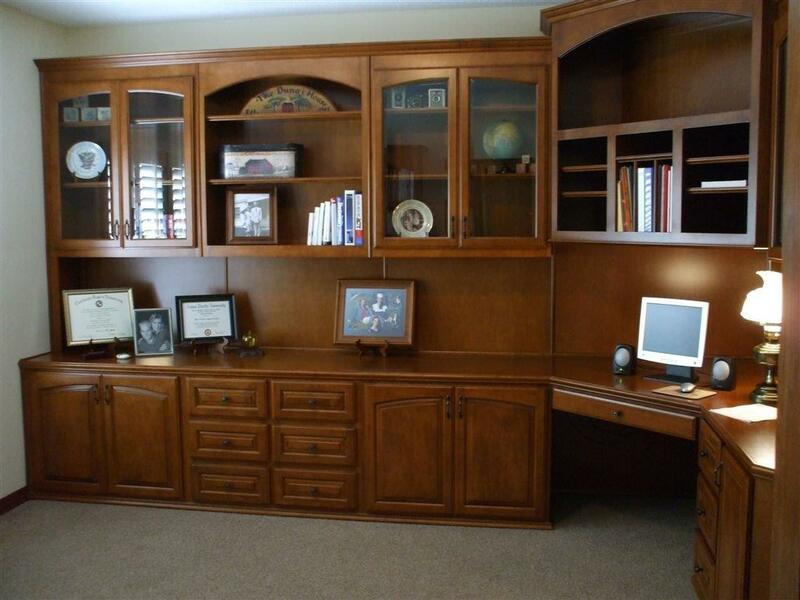 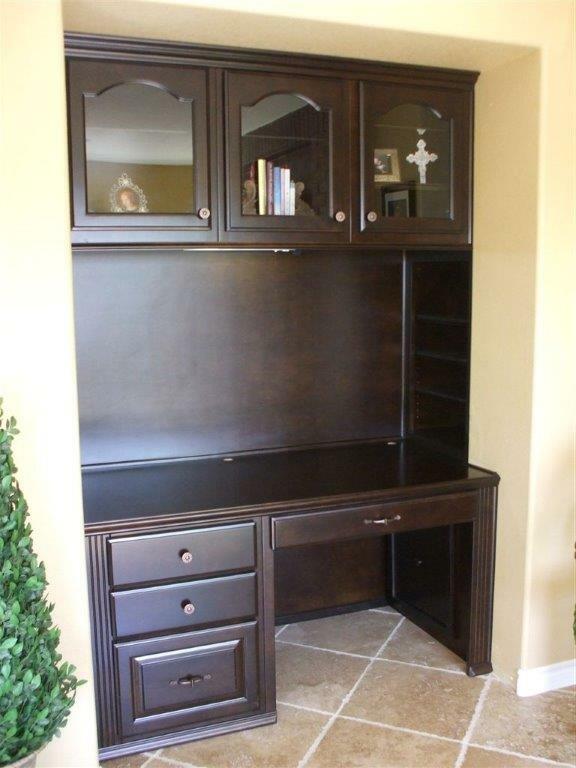 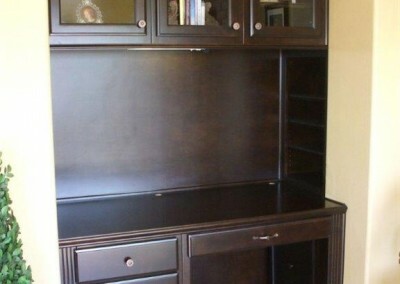 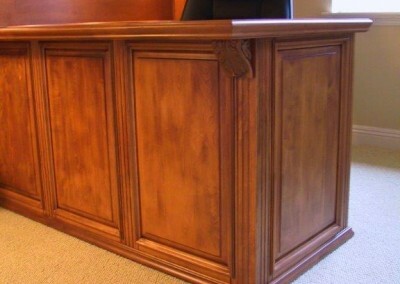 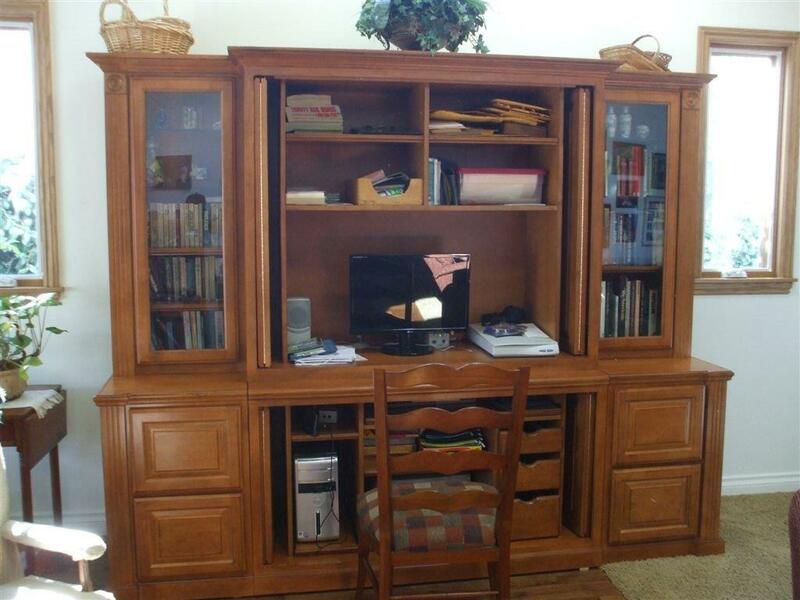 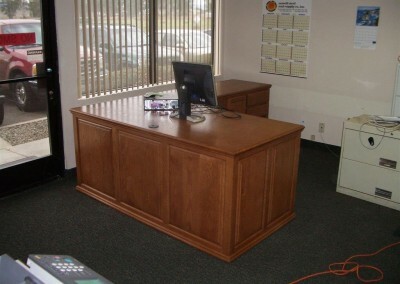 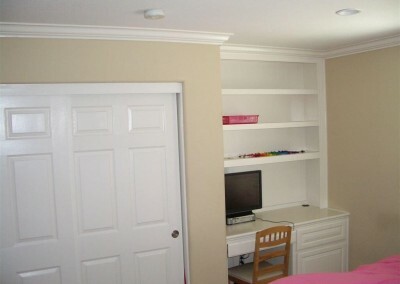 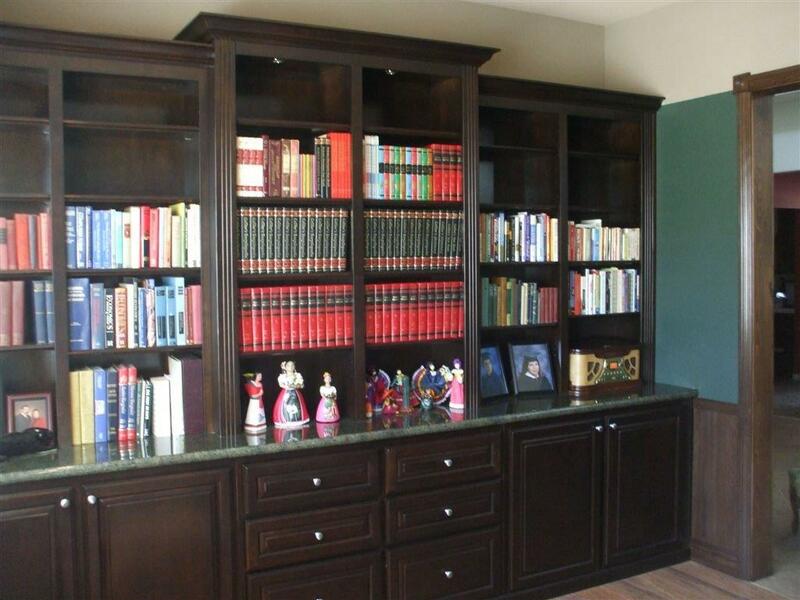 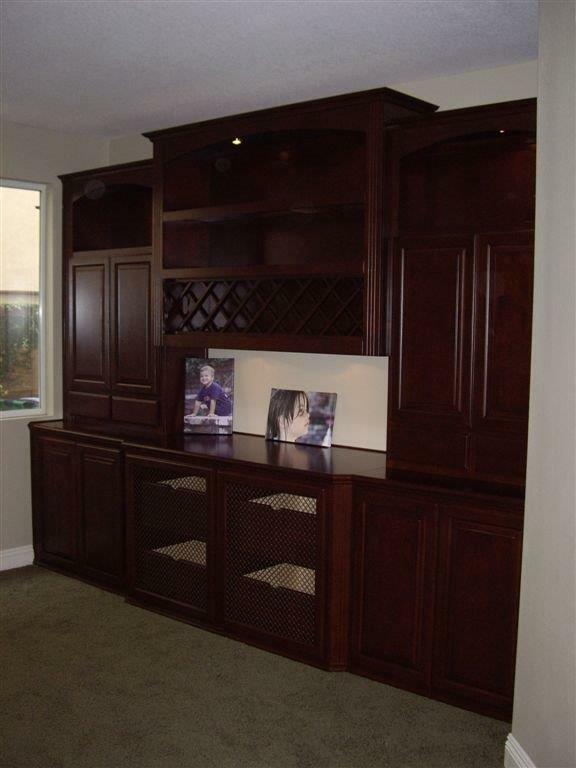 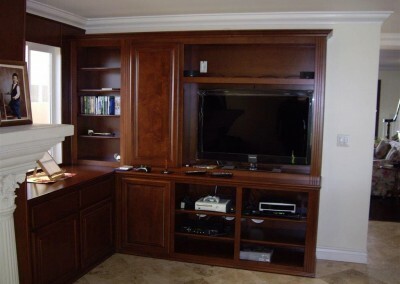 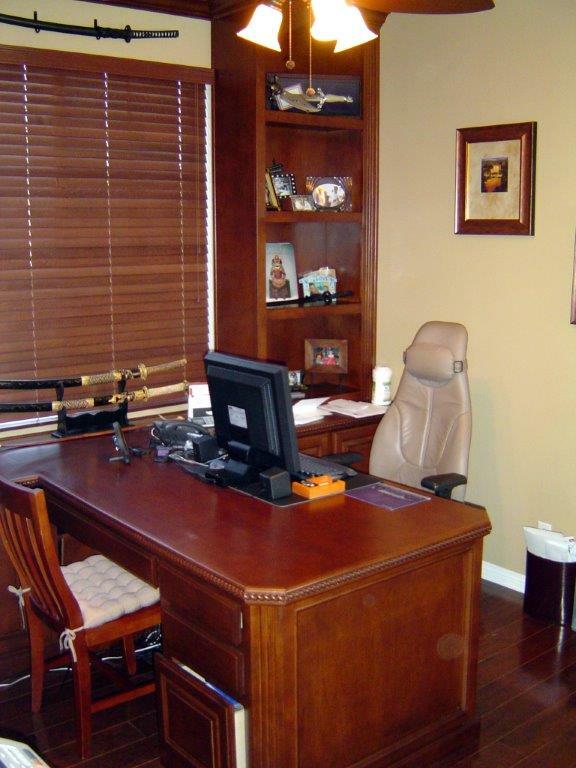 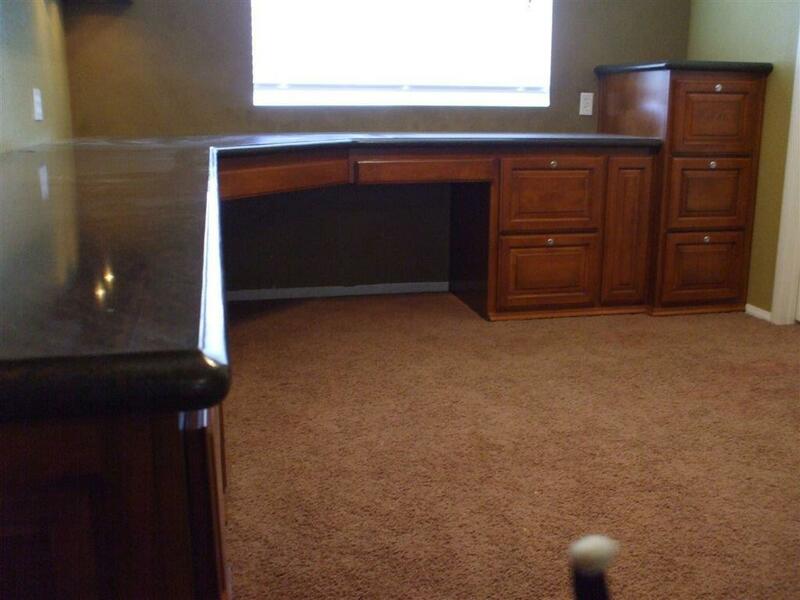 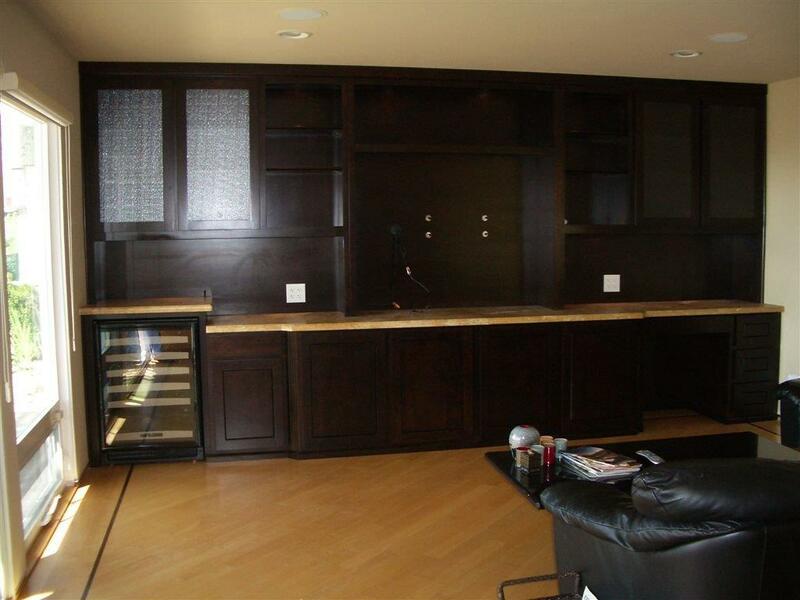 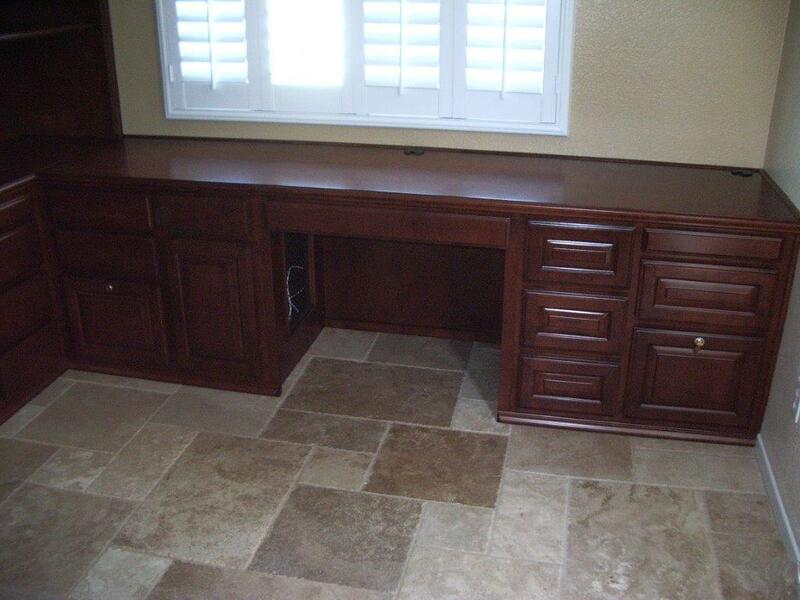 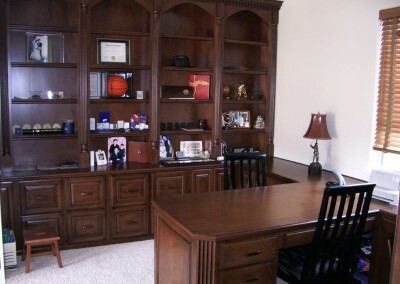 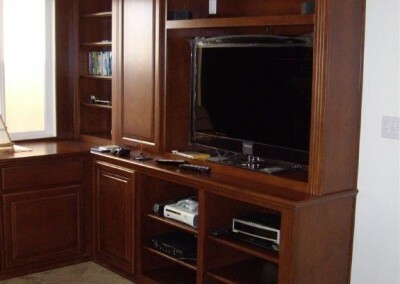 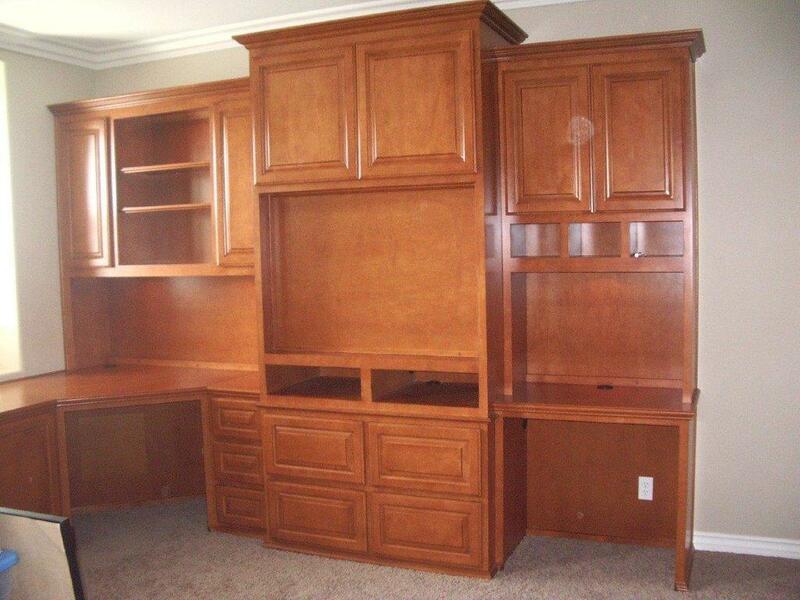 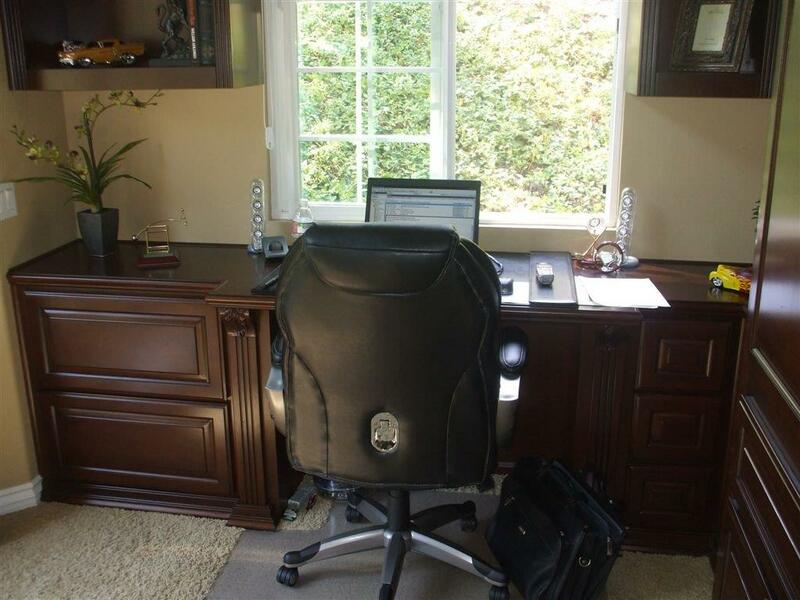 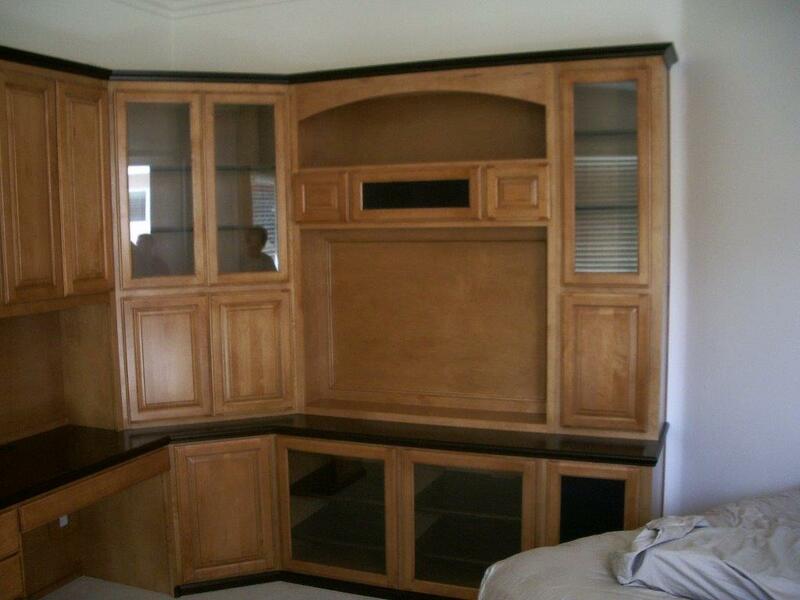 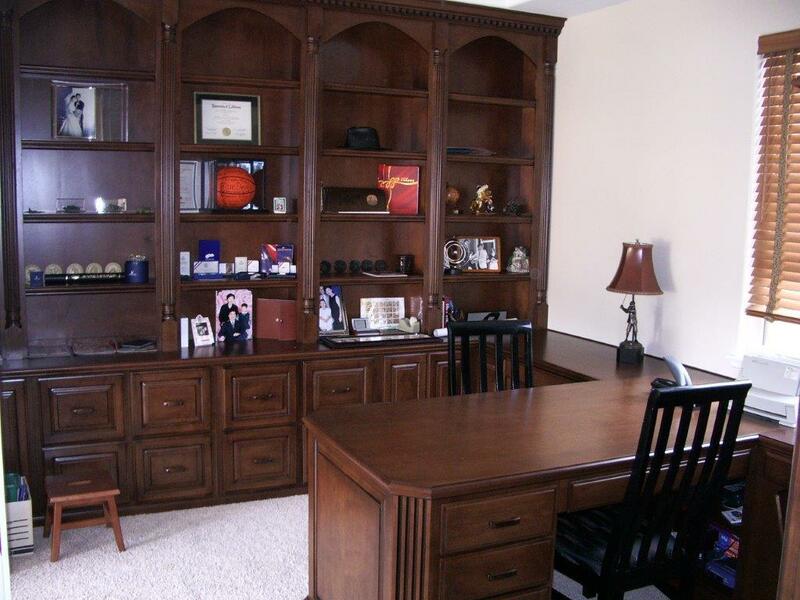 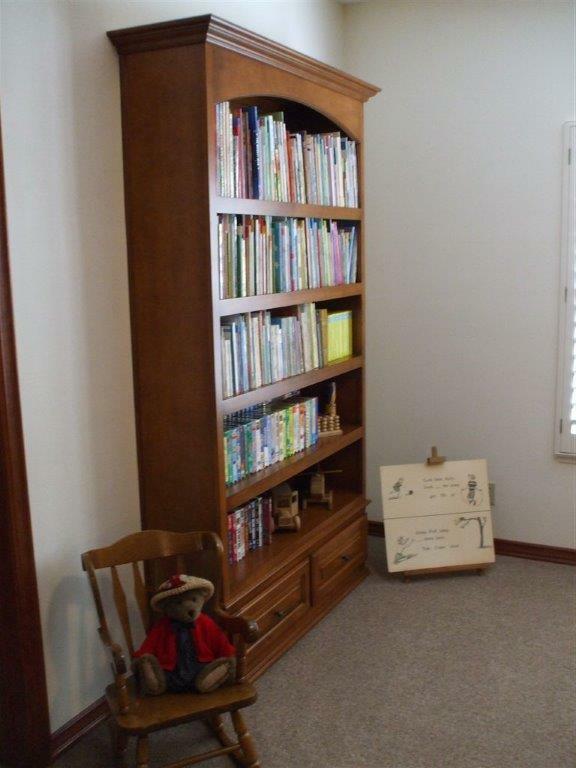 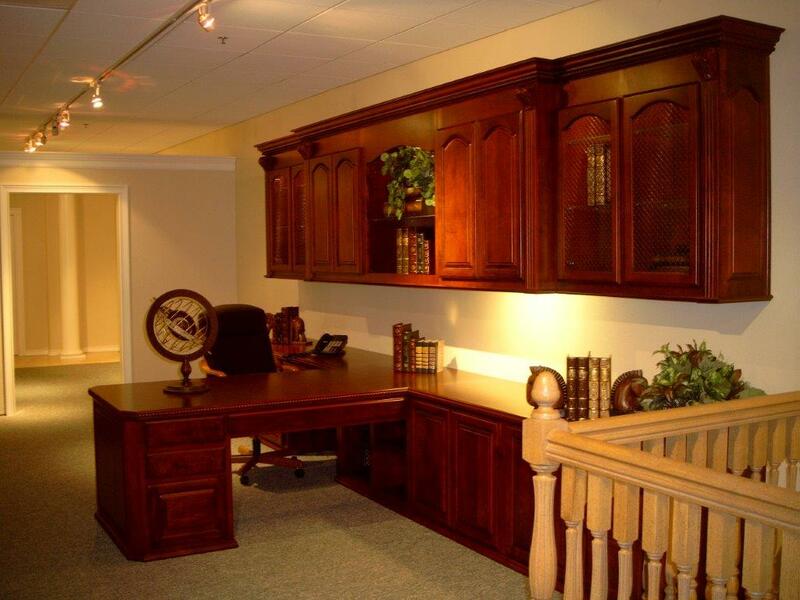 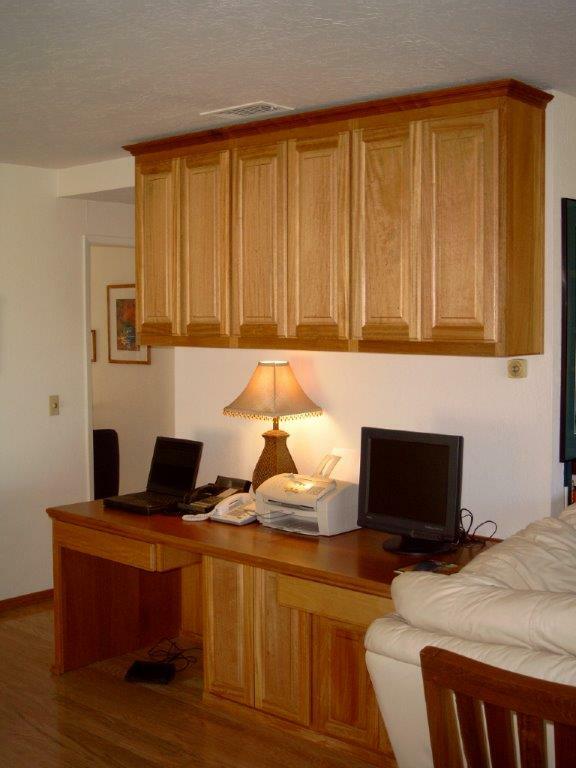 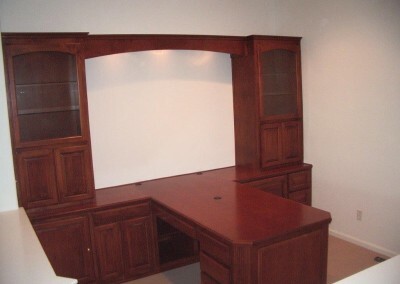 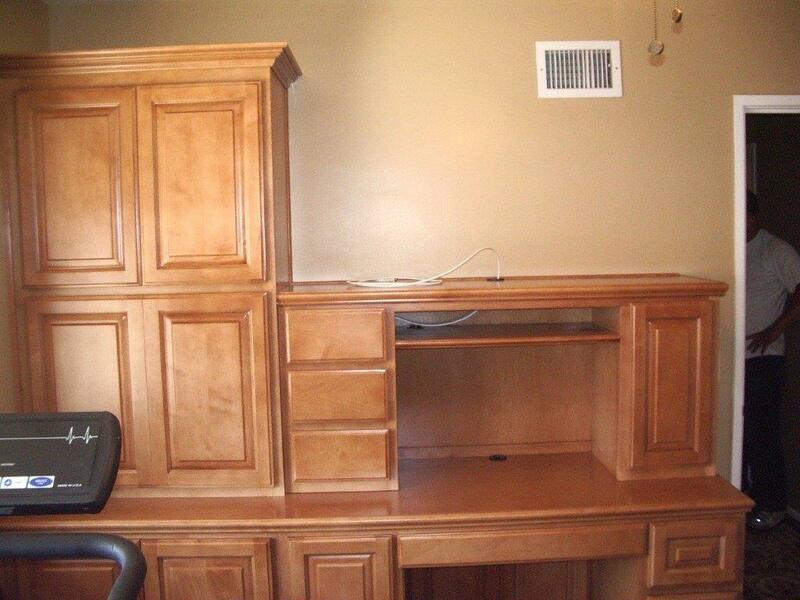 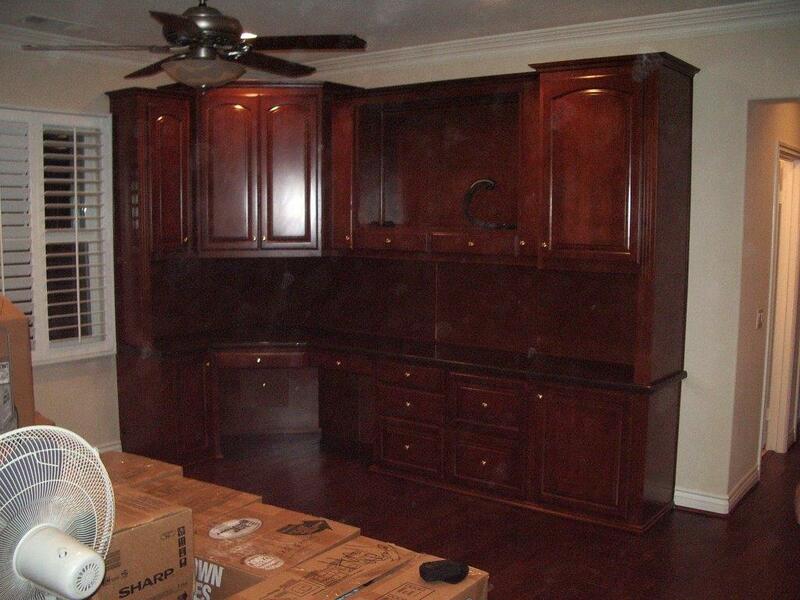 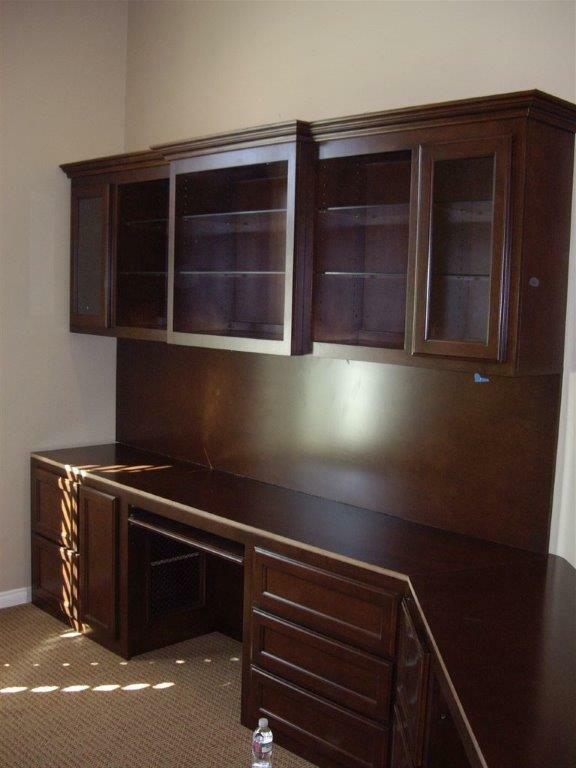 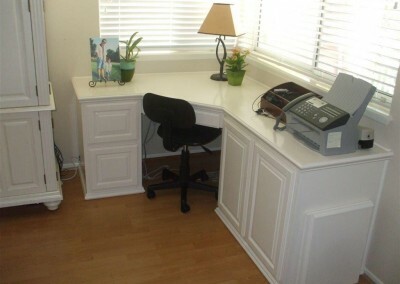 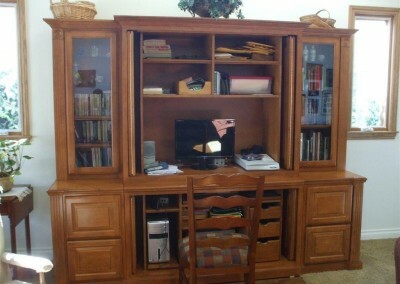 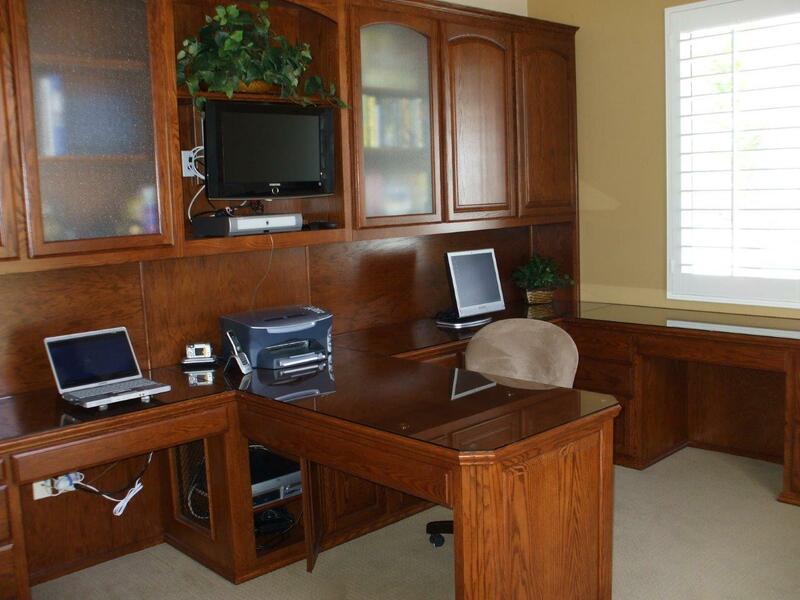 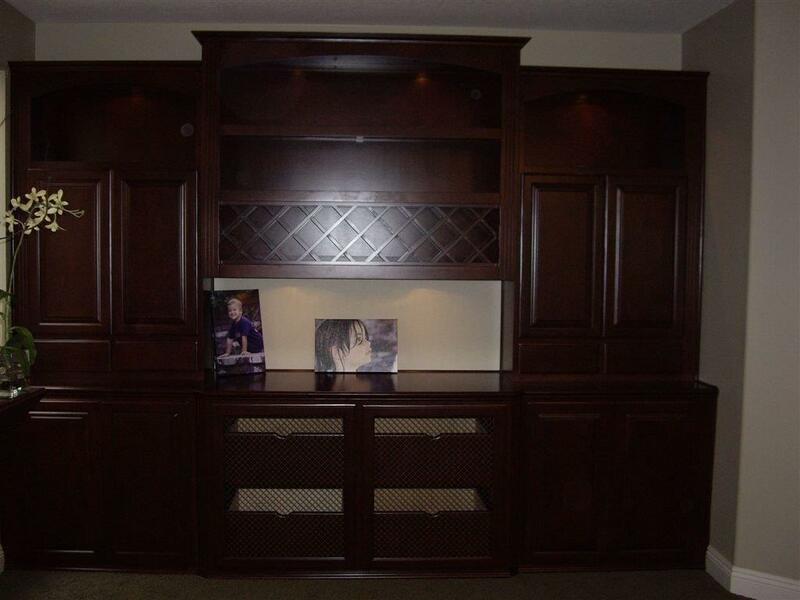 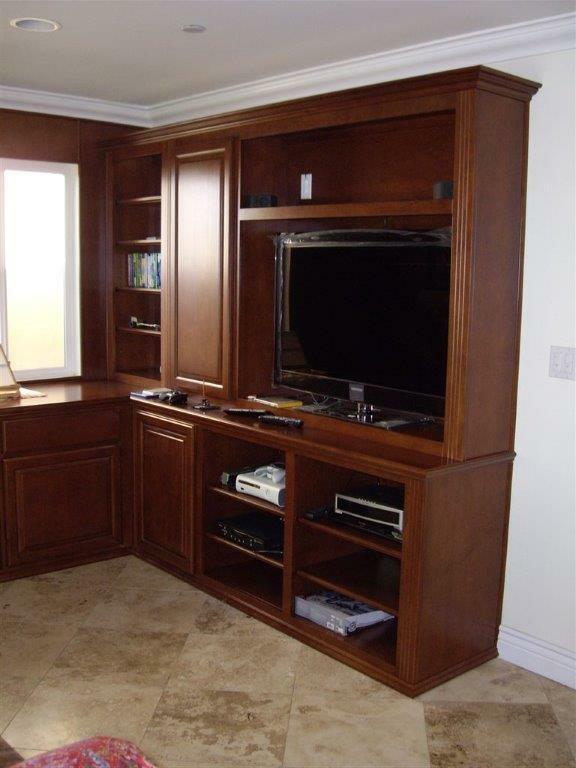 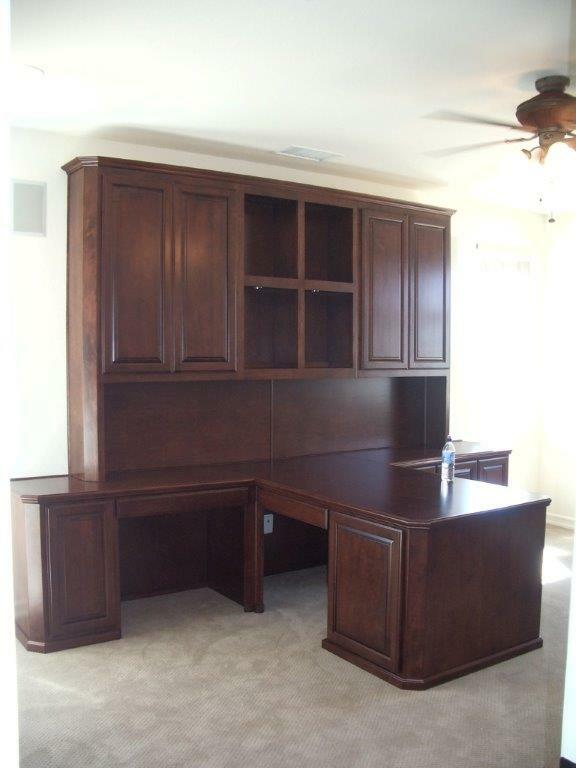 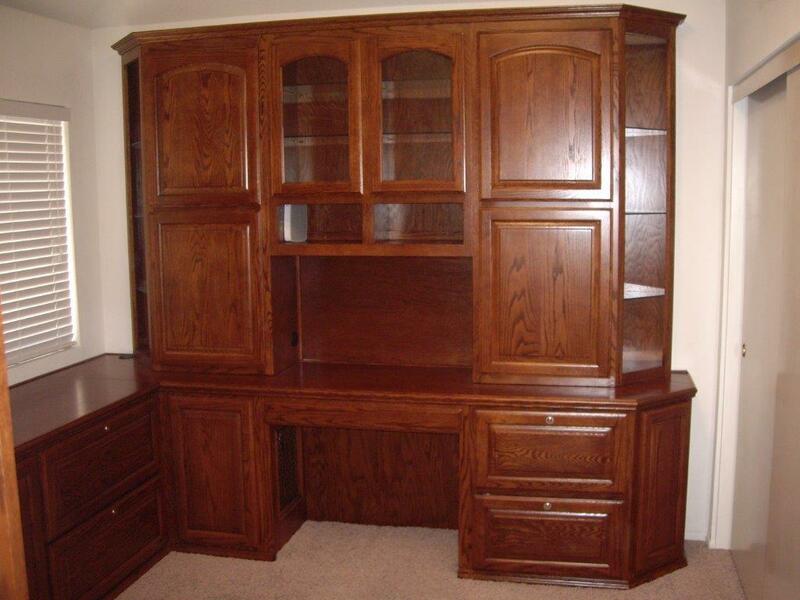 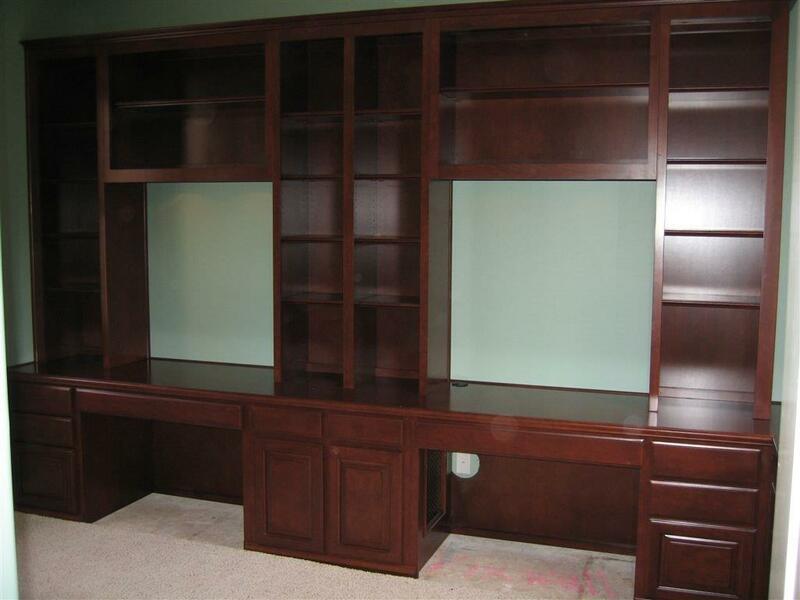 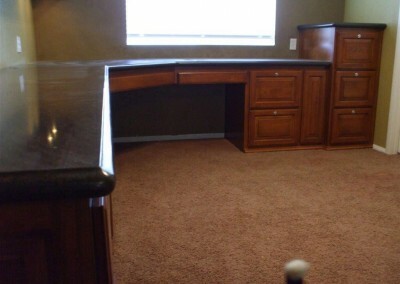 Home office furniture can be custom designed to fit the needs of you and your family. 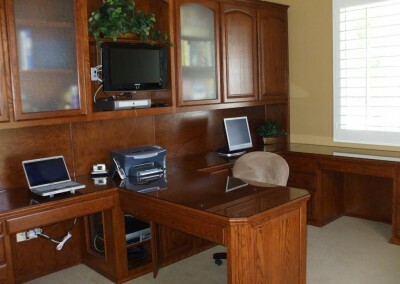 As technology advances home office furniture needs change. 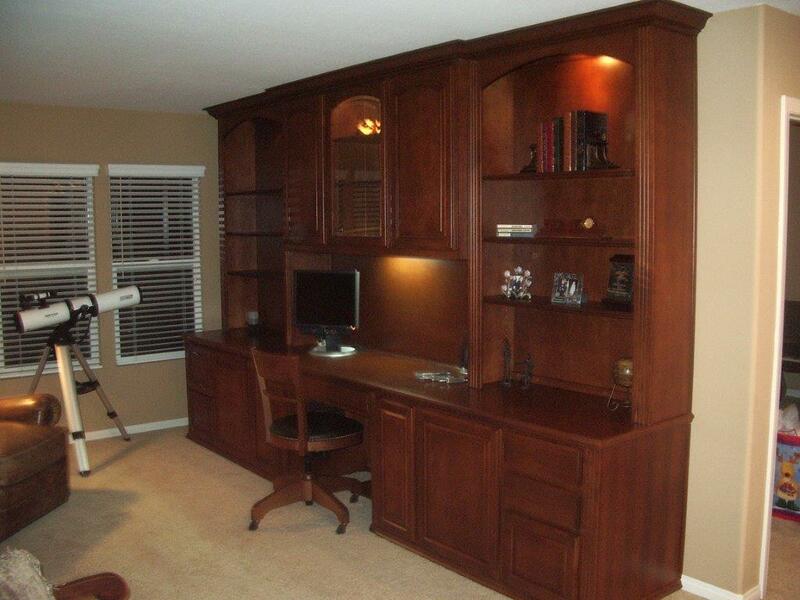 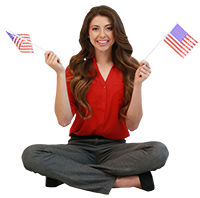 When’s the last time you updated your home office furniture?